Artwork on the walls. Statements. 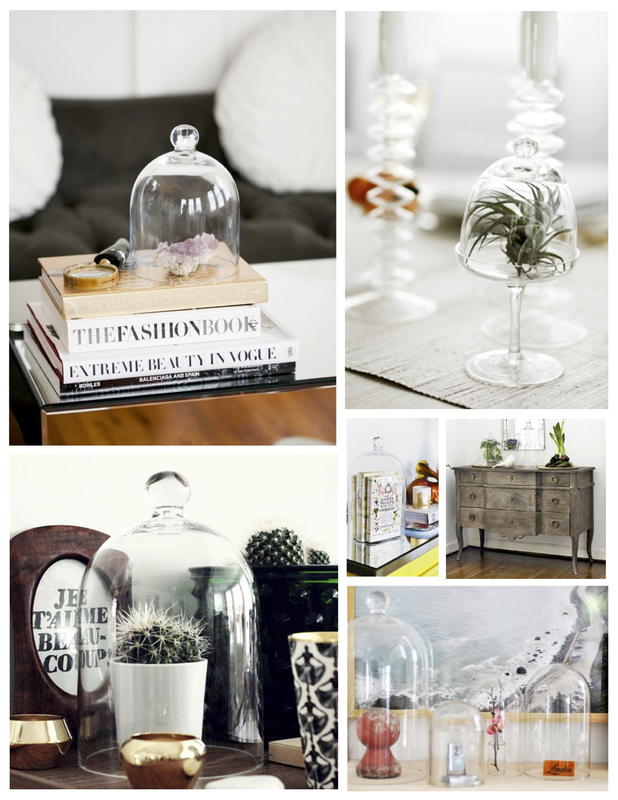 Meaningful, framed collections that present a menagerie of our personal taste and preferences. Enhancing the interior. 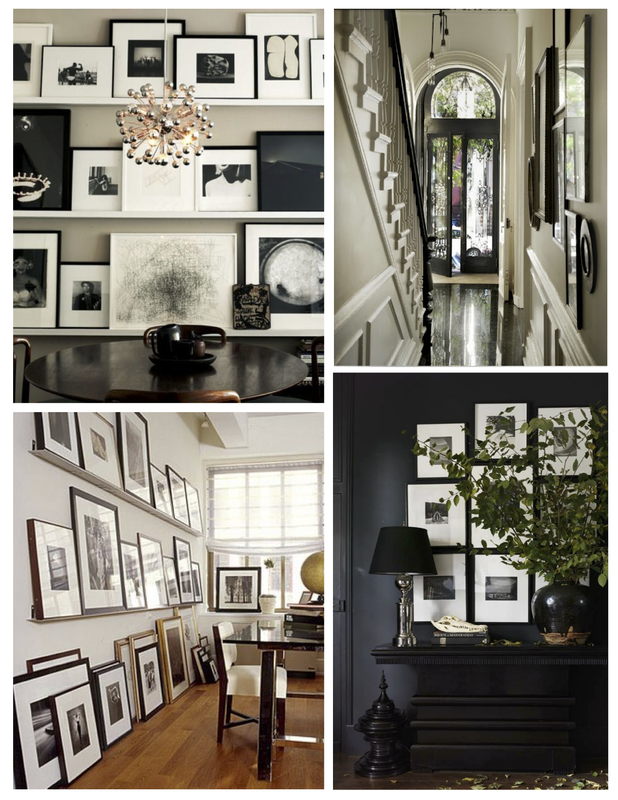 Hanging framed objects perhaps can be considered the “art of dressing the walls”. Yet it is a personal “dressing” of the walls. 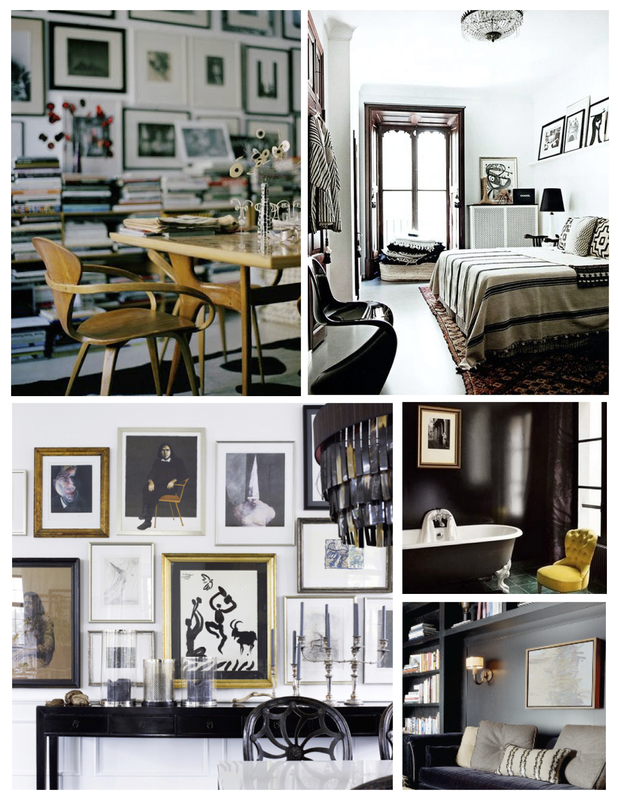 For certain, the preference of what we deem as art that hangs on our walls is subjective. Alas, art is in the eye of the beholder. 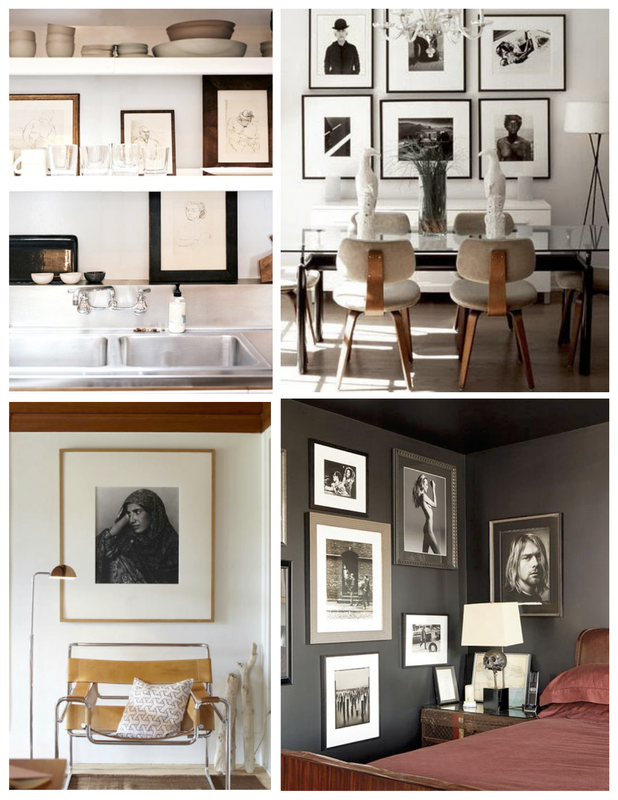 The selection of framed pieces, whether paintings, sketches, prints, photographs or other framed media, are a collected story of our personal lives. For beyond the art itself, the acquiring of each piece holds a story or memory associated with it. A visual of our unique perception of the world on display. 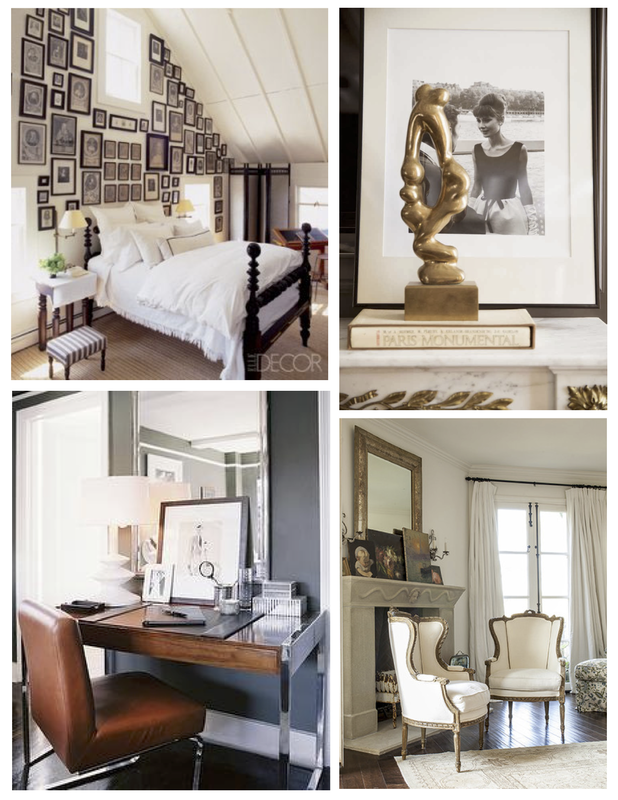 A personal culmination of style that can transform an interior with stylish appeal. 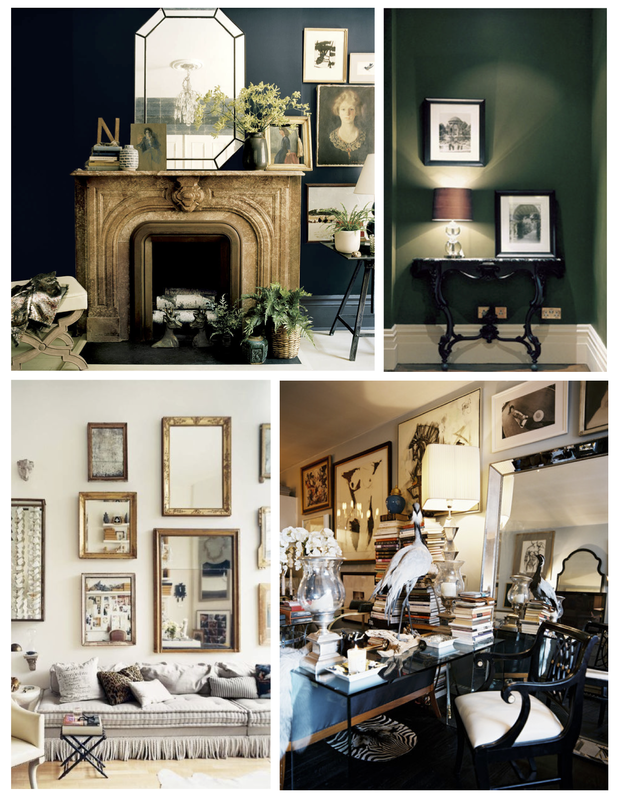 When it comes to truly embellishing our interior spaces, what fills our world and our walls should inspire us. 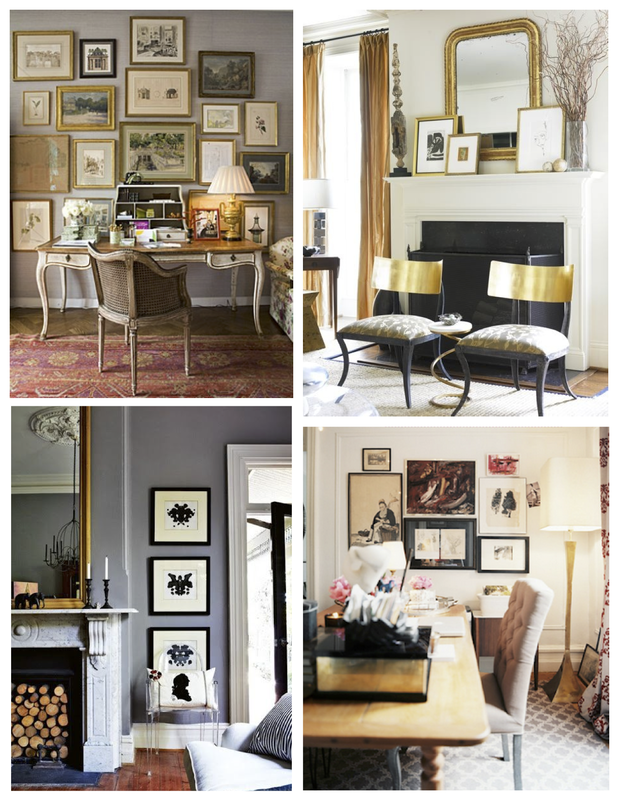 The framed objects that grace our walls should bring us pleasure and move us onward. Pleasing visual display. Surrounded by our own reverie, if you will. There is certainly no minimum or maximum of what our walls should hold. For some, less is more. For others, more is more. 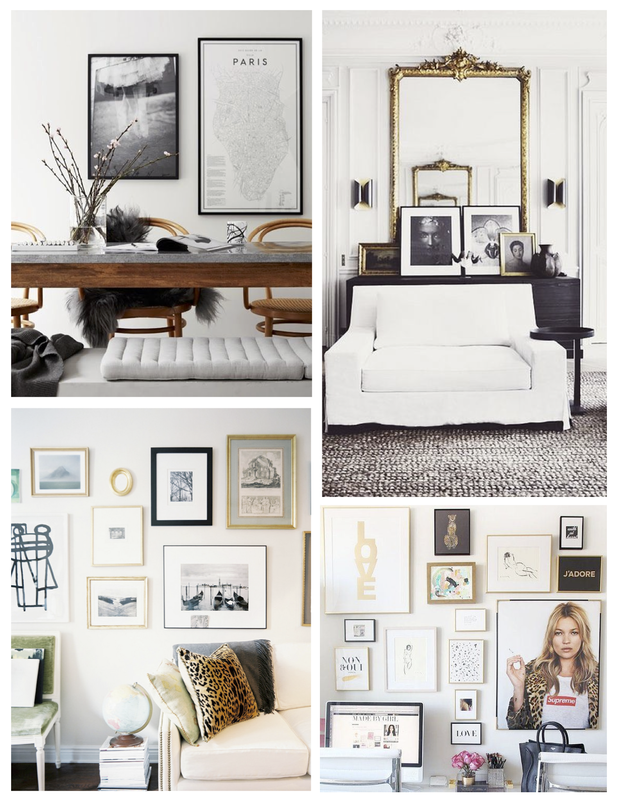 Whether eclectic displays or edited collections of simple impact the key is that what hangs from our walls speaks to us and holds true to our current interests and lives. 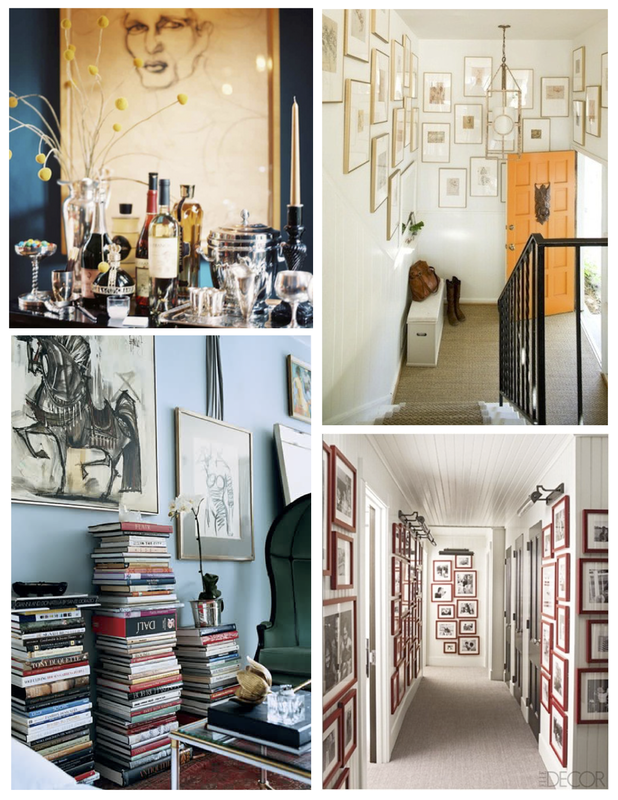 Infusing our personal interests and style through art. Art, regardless of the medium, holds meaning. 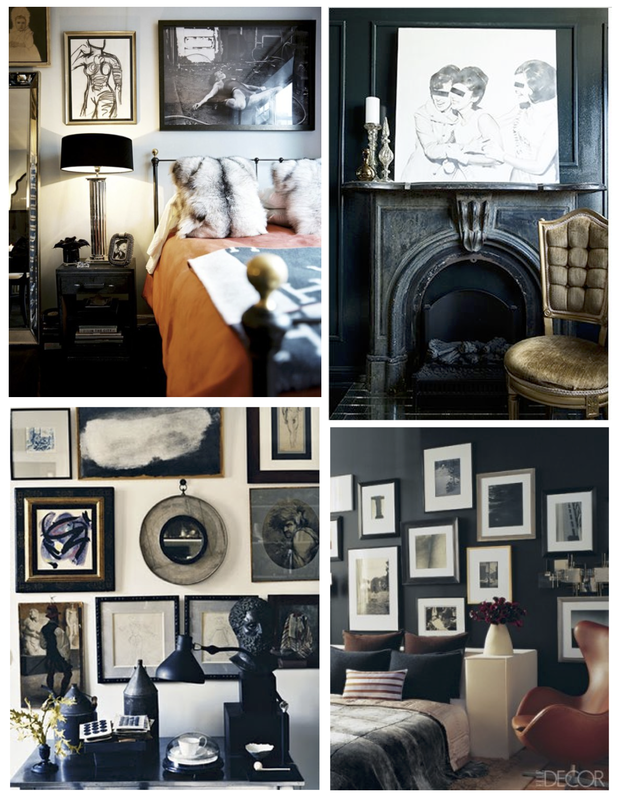 Art can define and unify a room while evoking and conveying emotions that create a mood within the interior. Power and meaning, for certain. 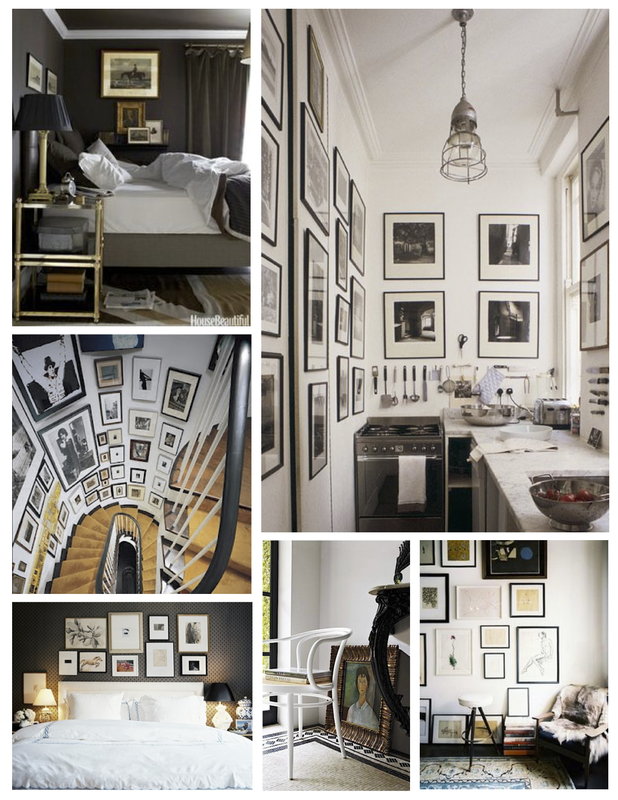 Consider the embellishment of artwork within the interior. 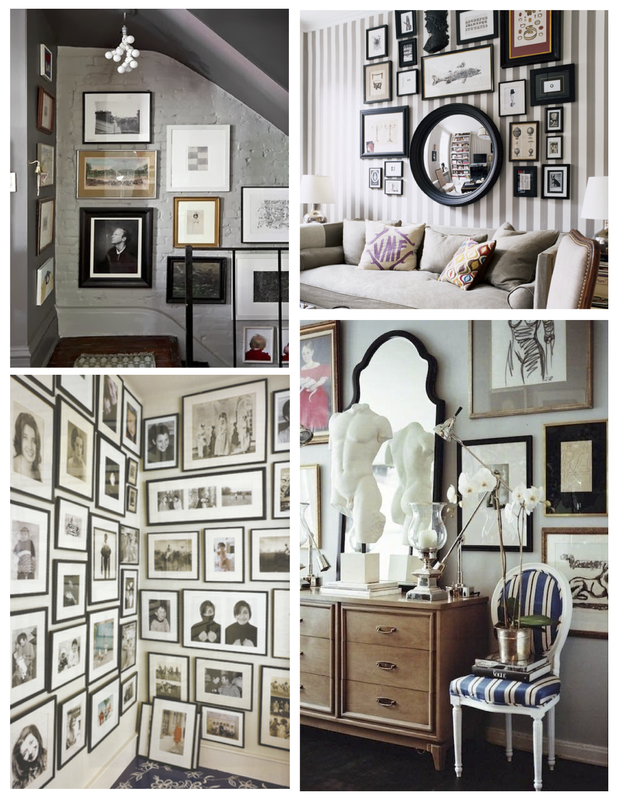 Whether one large framed statement piece or mass grouping, whether a gallery collection or a simple grouping the addition of art to our spaces speaks volumes of who we are. 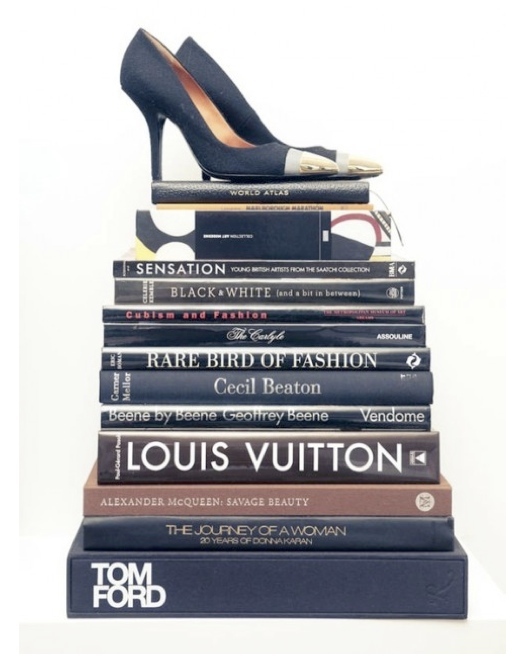 Perhaps it is our individualistic, personal style that should captivate us with what we select. What we are drawn to. 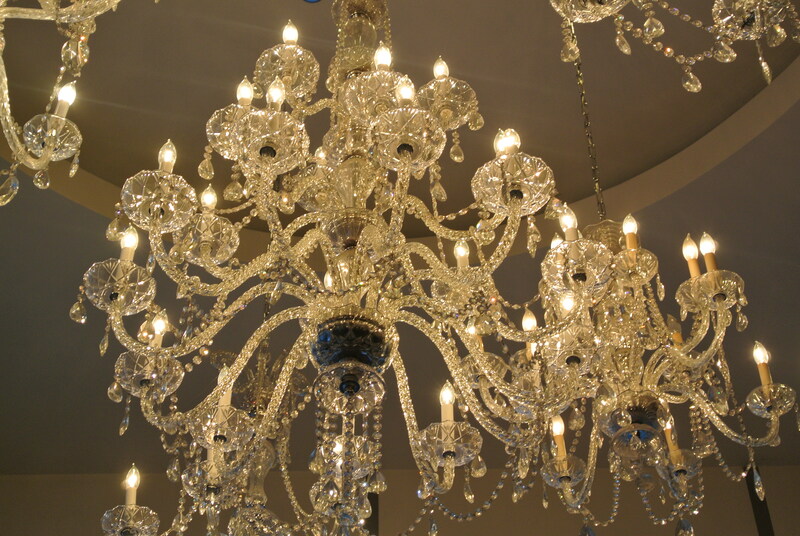 Curiousity to those that will view it upon entering our interior worlds. 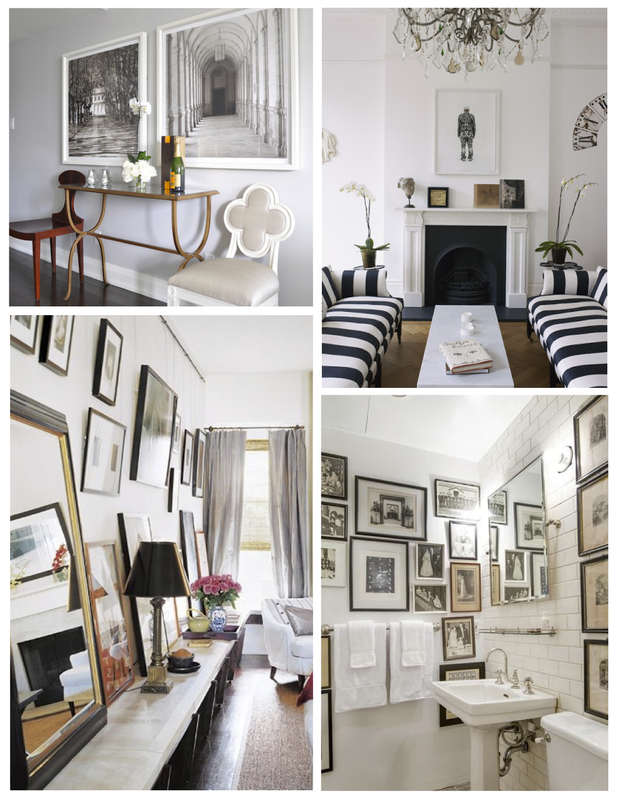 Along with other collected decor artwork adds our personality to our interior spaces. 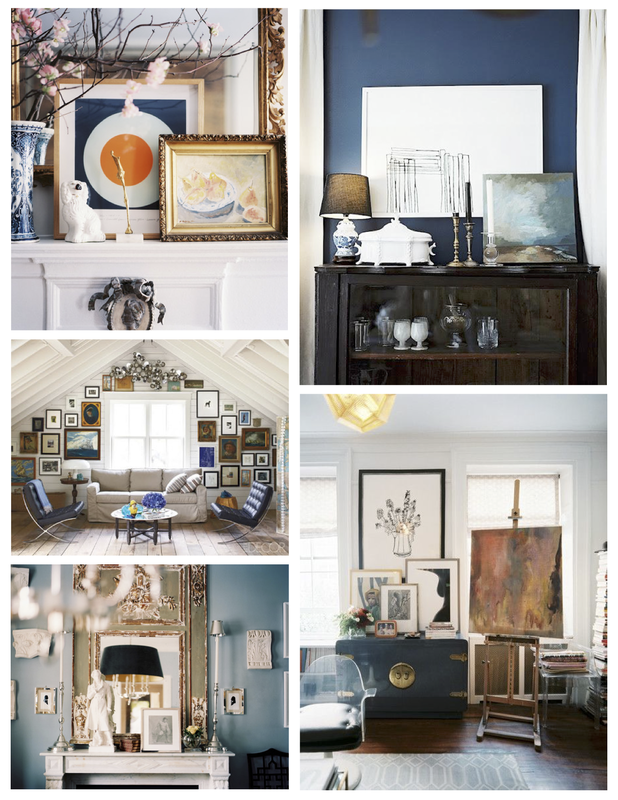 Although there are many methods, rules and schools of thought in hanging and displaying art, I state the case to approach your walls with boldness. Personal, unique boldness. 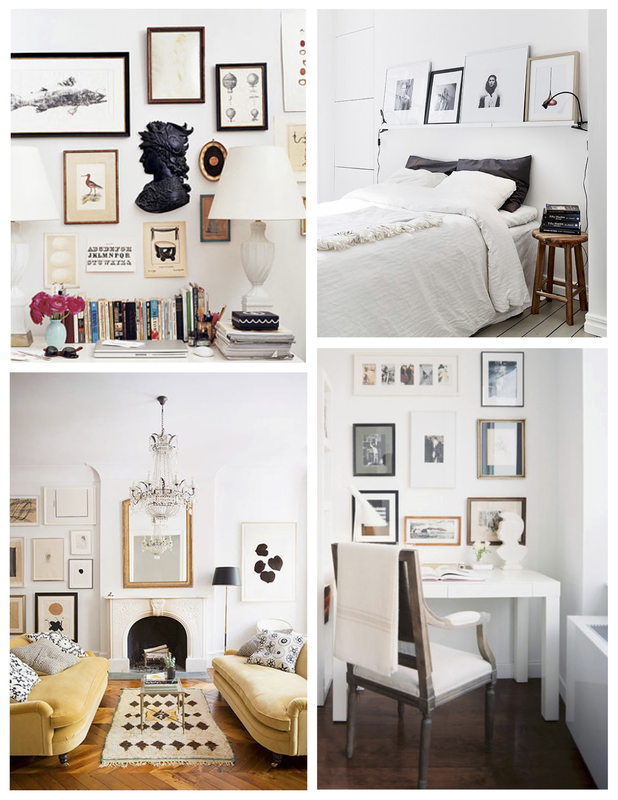 Alas, if you cannot commit to hanging your framed art, there truly is an art to “leaning” framed artwork against a wall. 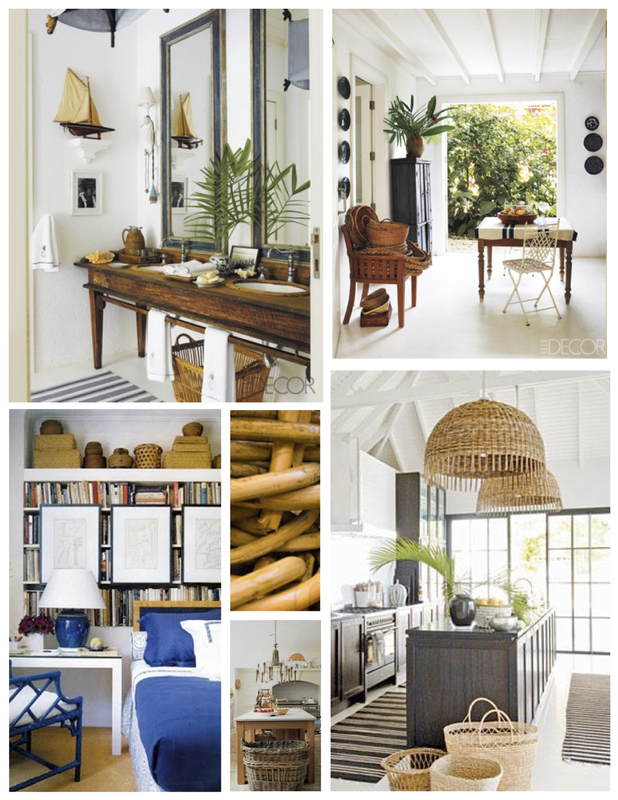 Either way, decorate with intention. Personal statements on display, indeed. 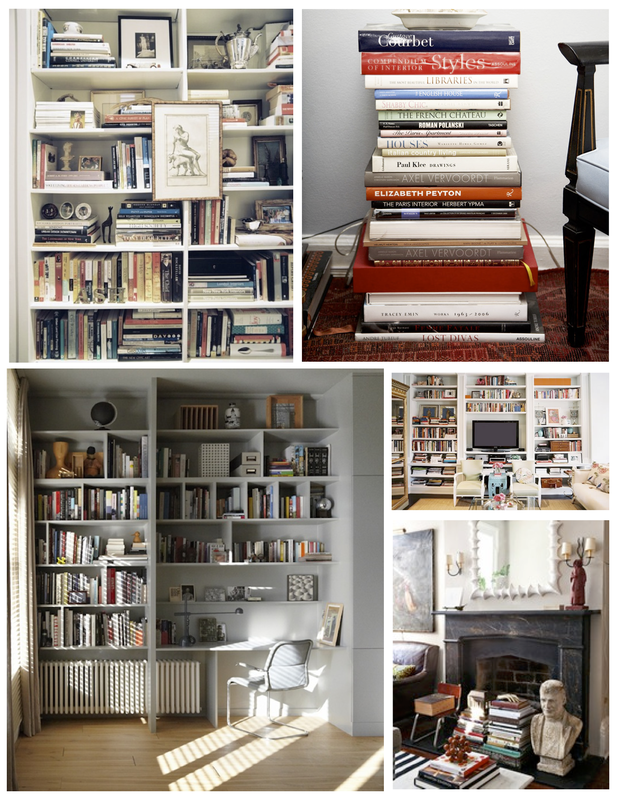 The display of books within the interior is an aesthetically pleasing visual. 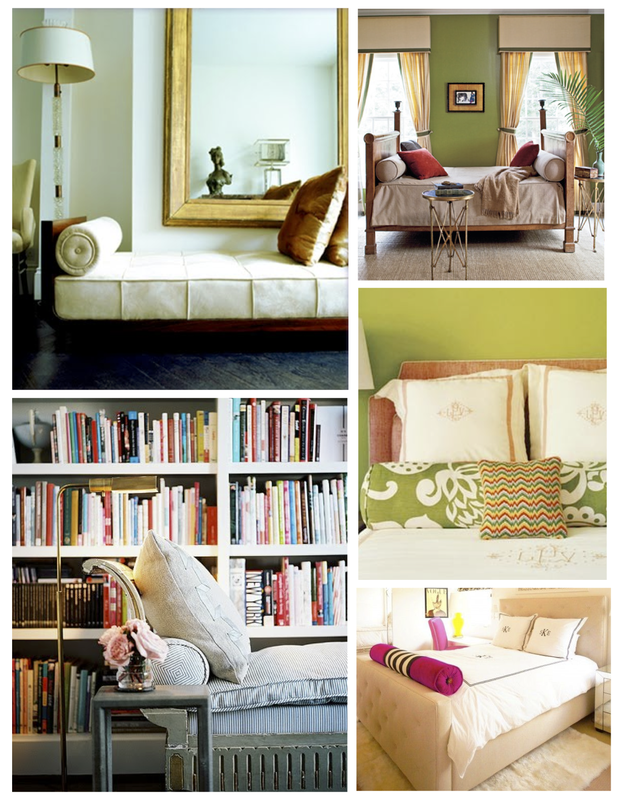 Beyond a “Good Read” books truly do assist in furnishing a room. 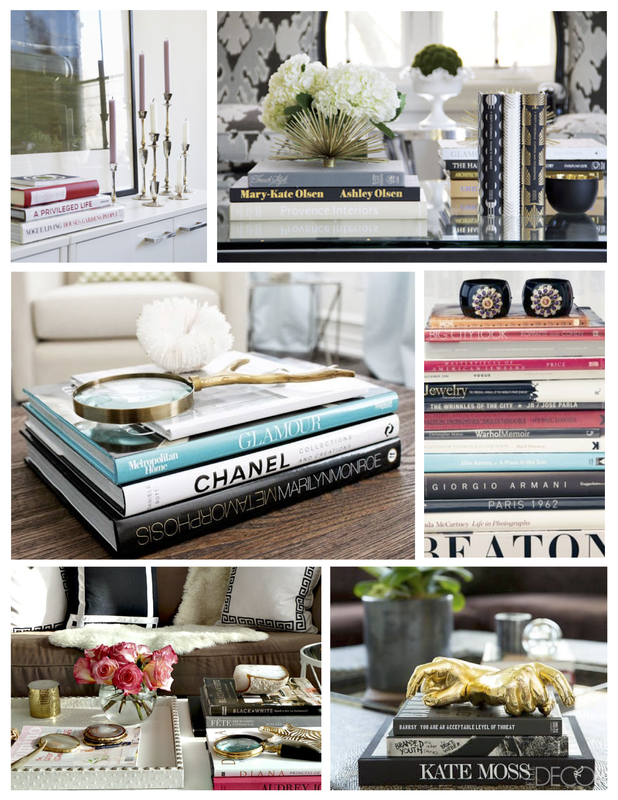 The accessibility of these stacked hardbound, and even soft cover books, simultaneously create a stylish display. 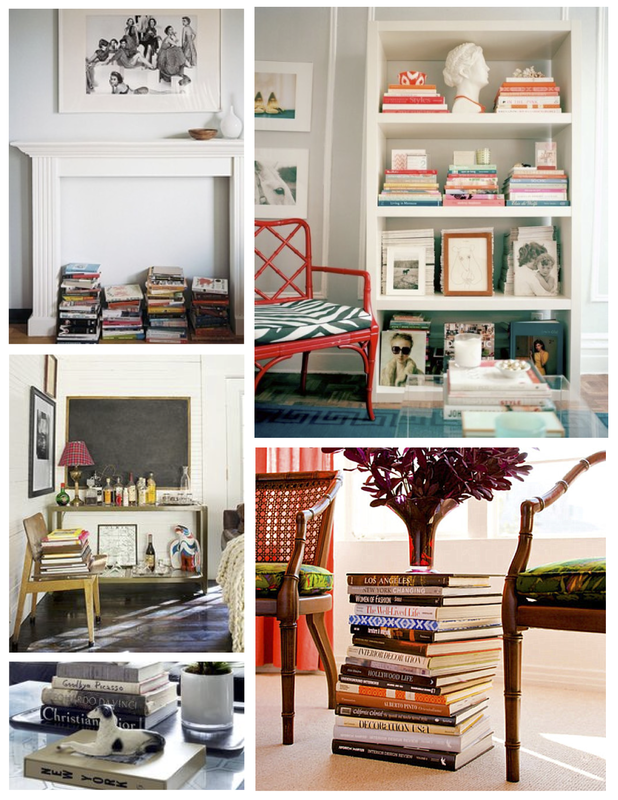 A “Novel Approach” to decorating, indeed. Form and function. 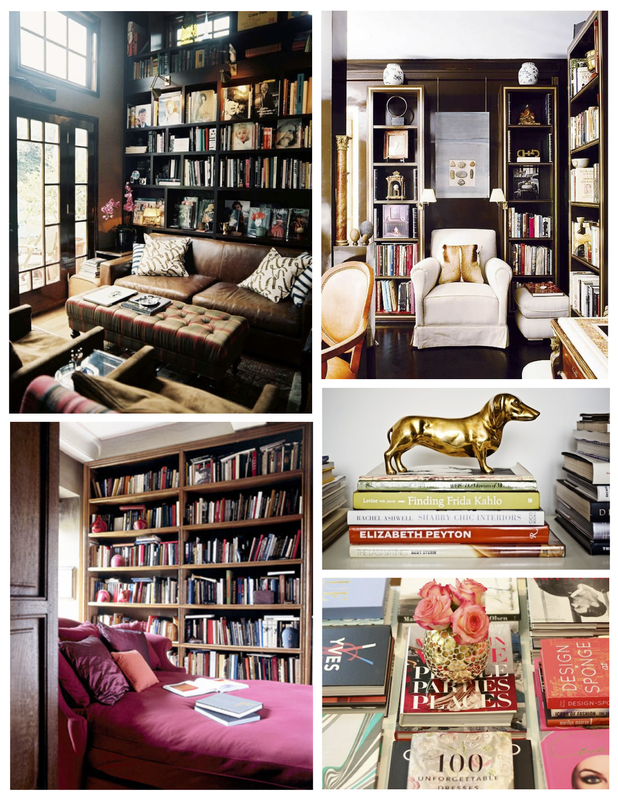 Books go far in enchancing our living spaces. 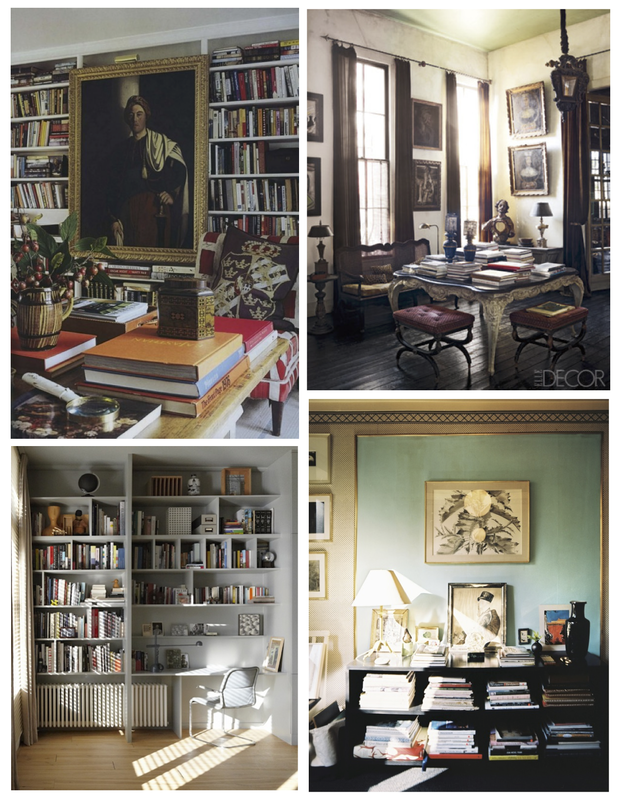 A backdrop of books visually relays not only a “literary love” but offers us the luxury to escape into private worlds that we personally have collected. Our own personal library of interests that surrounds us, excites us and continually beckons us to take a moment of respite and dwell within the world of books. 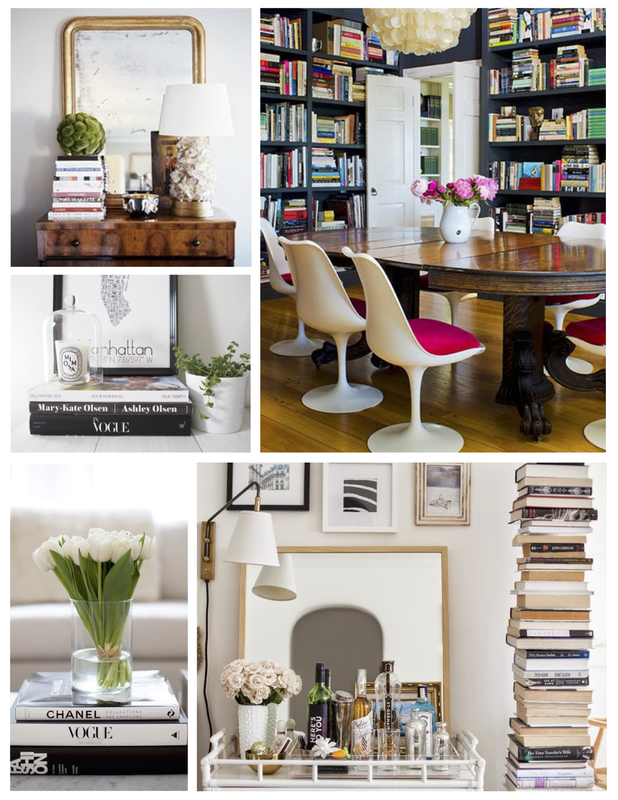 How you decide to showcase your collections of favorite literary finds or “coffee table” books of inspiring delight is personally and stylistically yours. 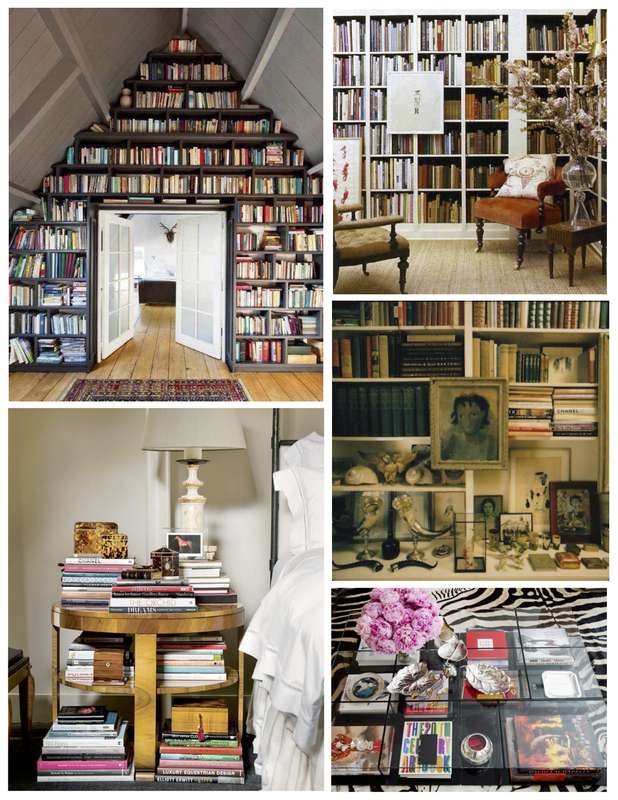 Whether stacked vertically and horizontally or massed together, library style, on freestanding bookshelves, built-in architectural cabinets or stacks positioned “here and there” in a visual vignette, an expression of your personal style is sure to be the guide and the result. 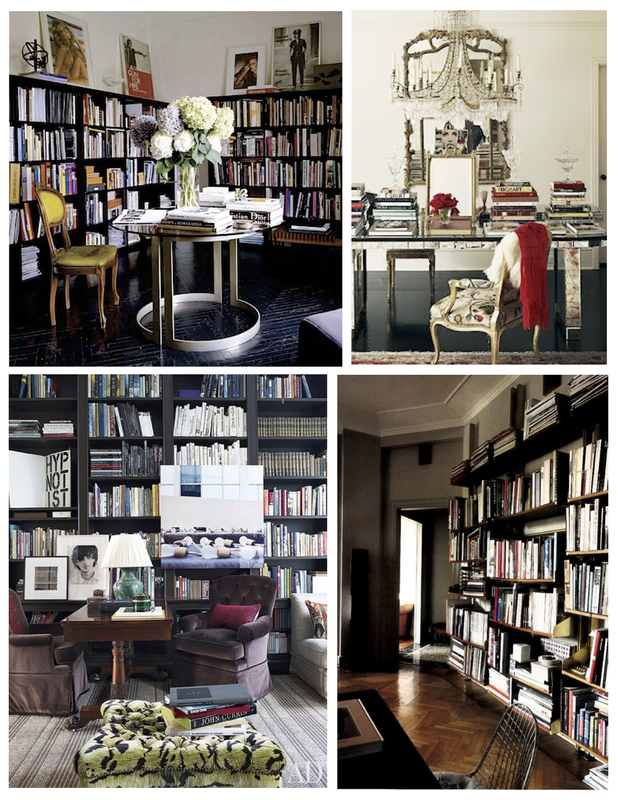 A study in style, if you will. 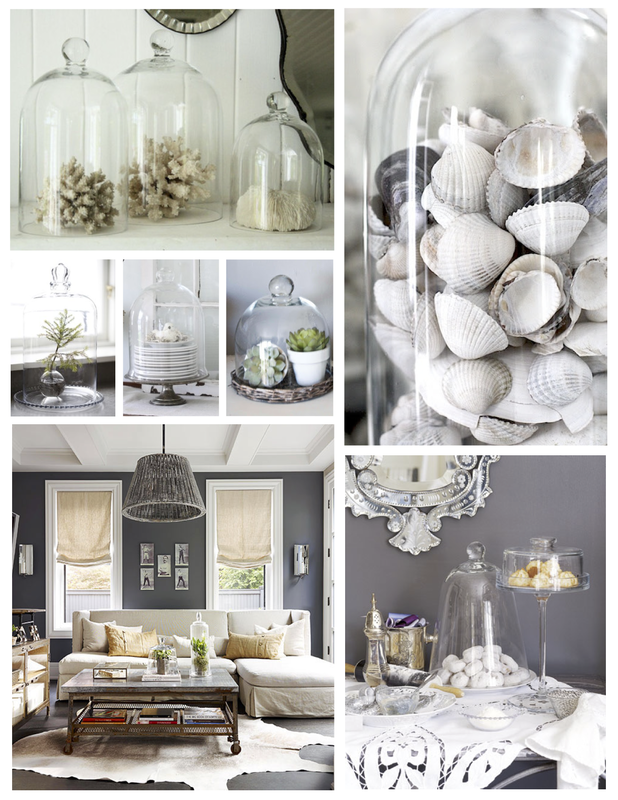 Creating an eye-catching display has been given much attention in the world of interior design. 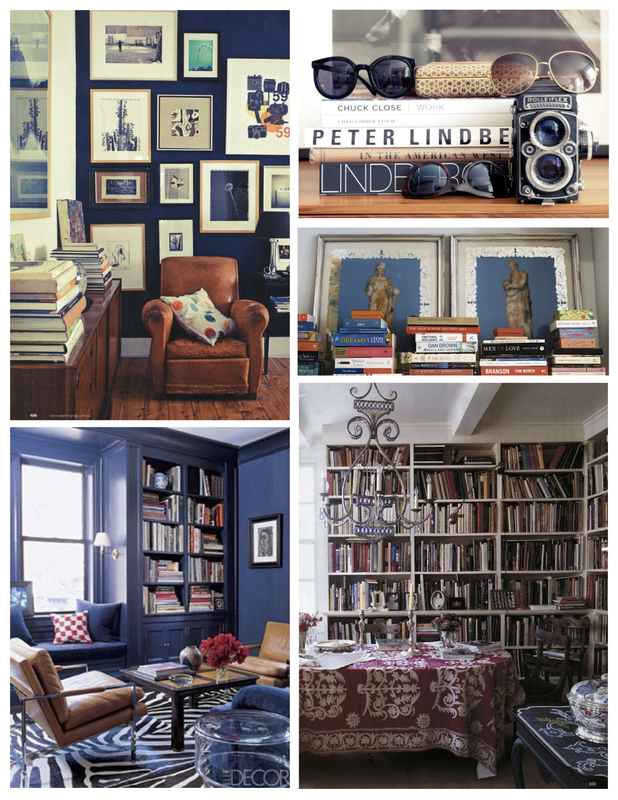 Although we can gain insights to assist in styling our literary world, perhaps in the end, the way in which we choose to visually surround ourselves with our books expresses our own individual style. 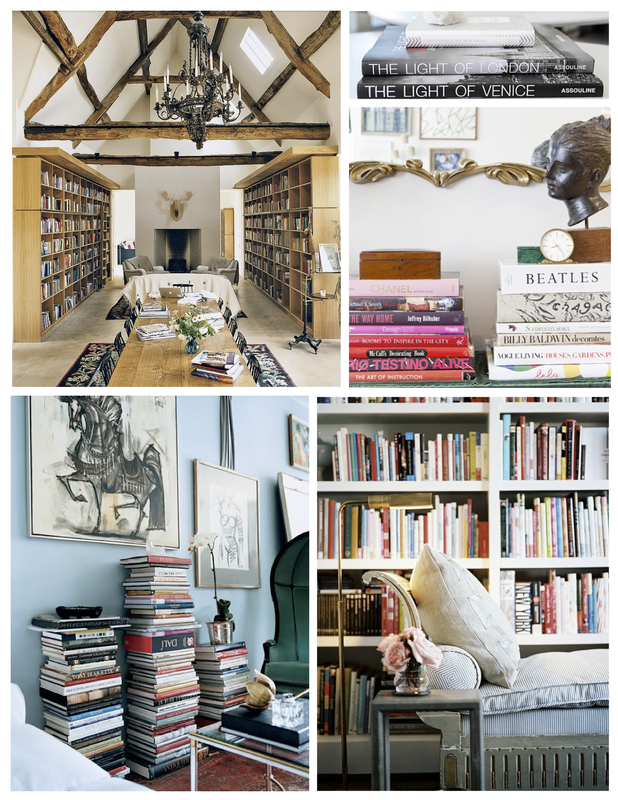 Whether it is a wall of vertical books or a display that offers varying heights, sizes and weights of books paired with groupings of treasured elements of decoration that fill our personal world will surely bring us serenity when tucked into our own private worlds. 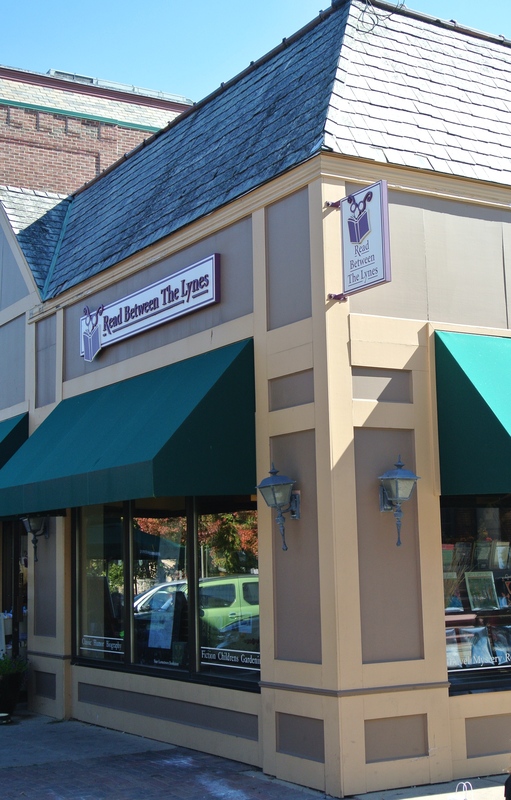 PS: This post is dedicated to a personal friend and independent bookstore owner, Arlene Lynes of “Read Between The Lynes” in Woodstock, Illinois. Thank you, Arlene, for your gracious service to the world of book lovers! 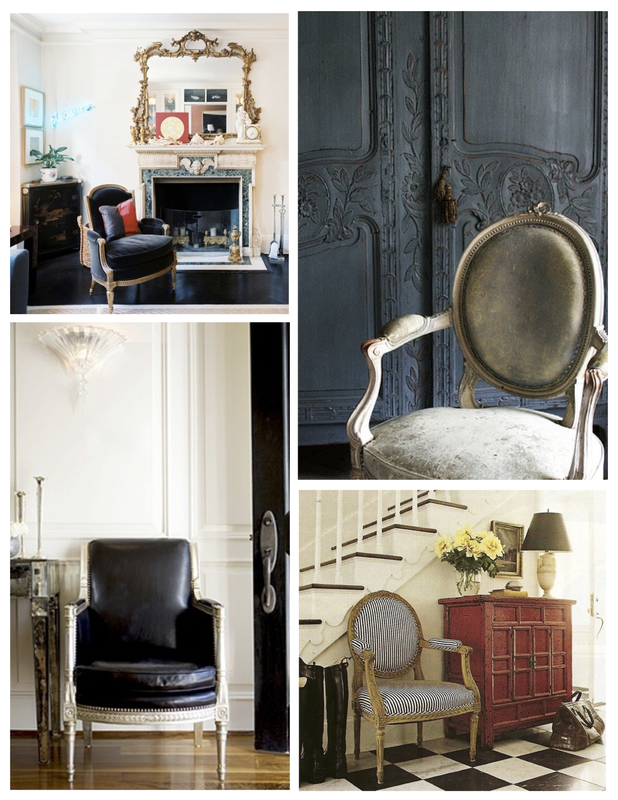 These chairs of great style were referred to as “Fauteuil”, which means “armchair” in French (pronounced foe-toy). 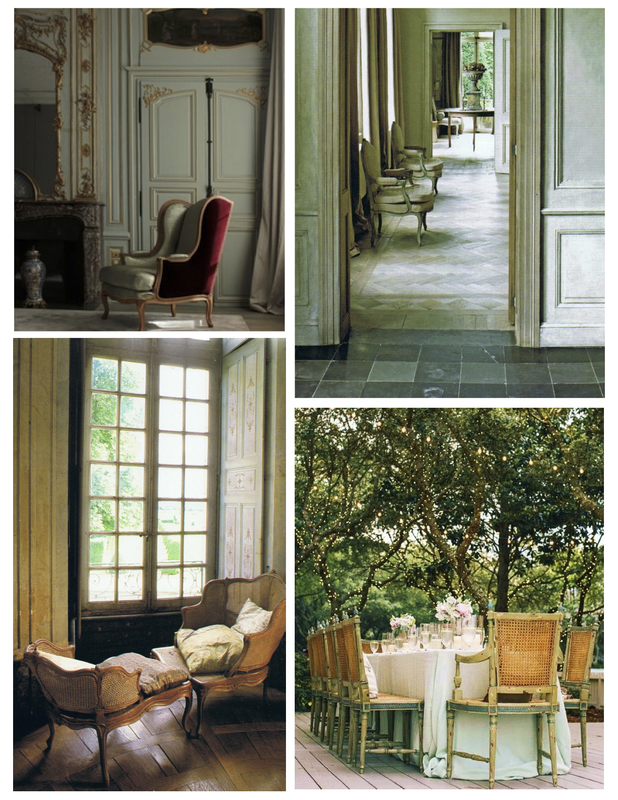 In terms of antique furniture, “Fauteuil” specifically refers to an armchair with open sides. Also described as a “wide and deep chair with upholstered back and seat with open arms” with a padded top. 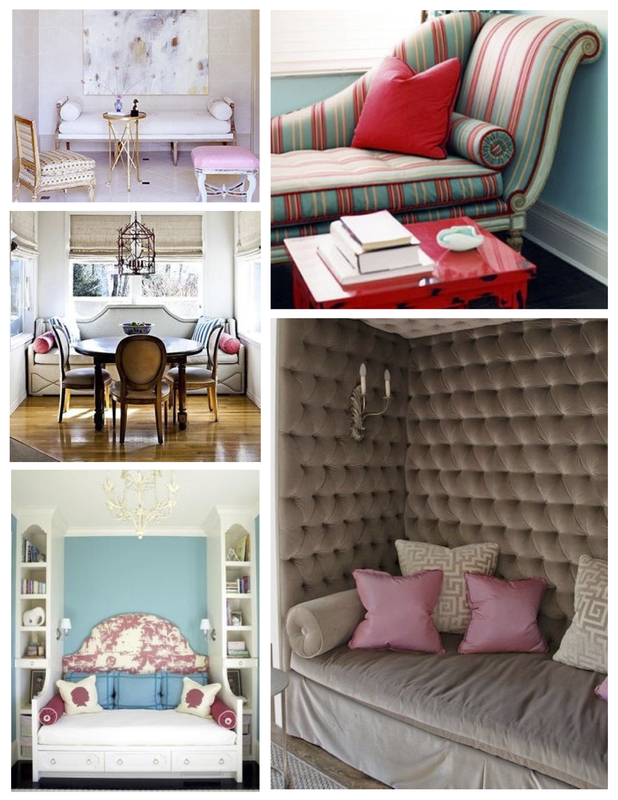 The “fauteuil à la reine” refers to a “Queen’s armchair” with a square, high back. I adore this variation! Alas, then there is the “Bergere” chair, which is an enclosed upholstered French armchair with an upholstered back with padded armrests on upholstered frames. Fitted with a loose, tailored seat cushion the Bergere is believed to have been designed for lounging in comfort with its deeper and wider seat than compared to a Fauteuil chair. 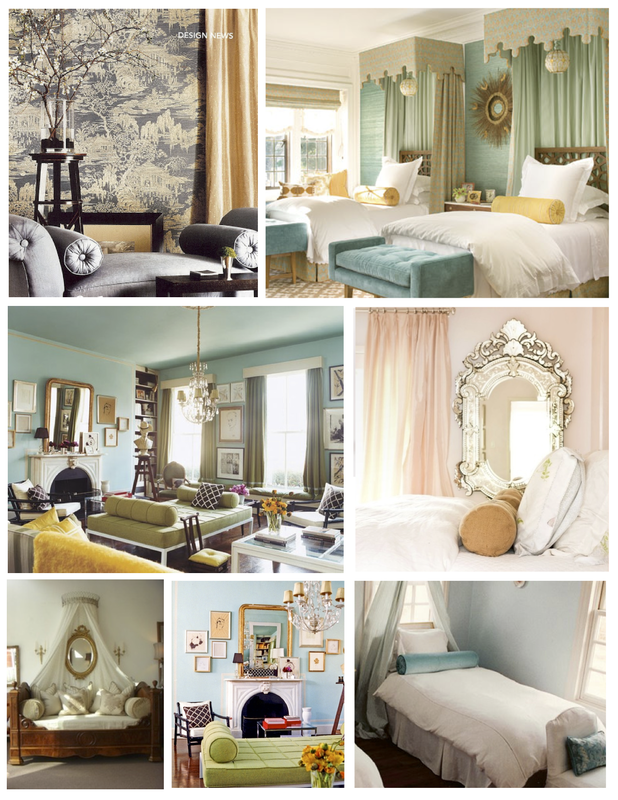 I certainly covet both of these variations! 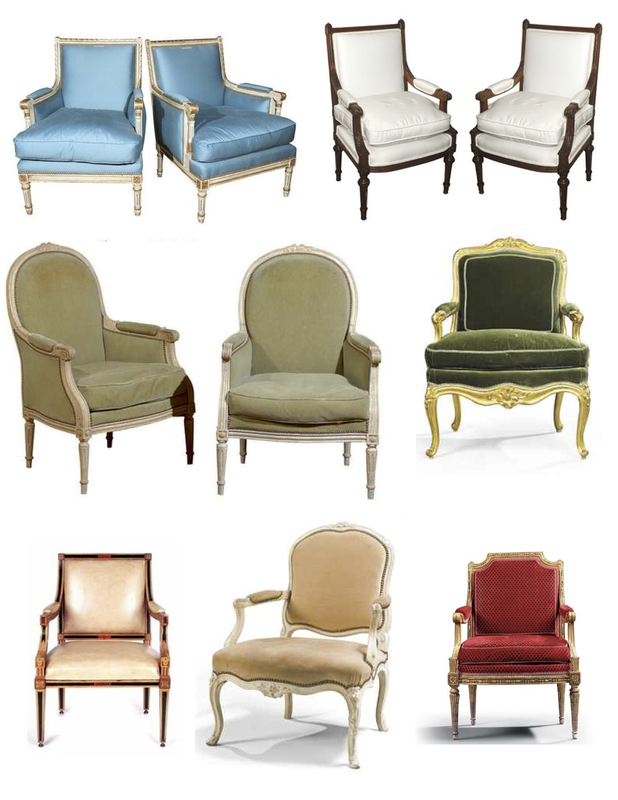 Of note, Bergere chairs may have flat,“raked” backs (à la reine) or have coved backs which sweep without a break in to the armrests (known as a Marquise). 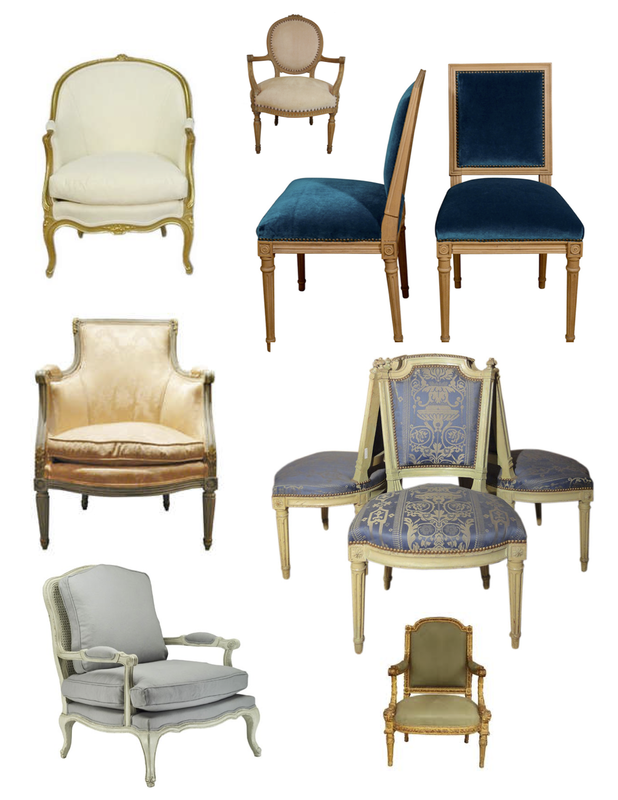 No matter the styles and variations, these antique French chairs typically featured carved wooden frames that were gilded or painted and upholstered in fine silk that was often embroidered with delicate flowers. Timeless design which now provides a bevy of options with modern upholstery choices, for certain. 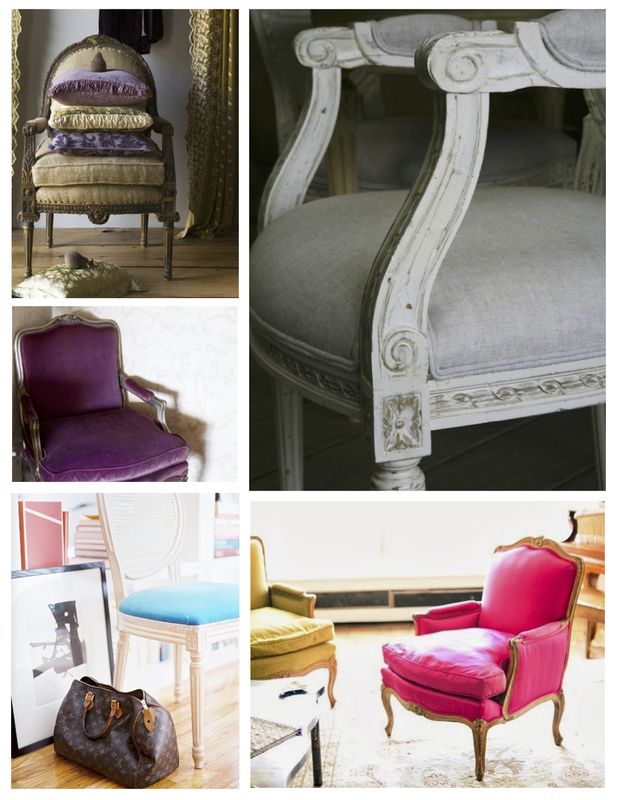 The entrance of the first “Louis” chair began in the late 1600’s towards the end of Louis XIV’s reign. The Baroque styled chair is said to have flourished during that time and would eventually evolve into a more lighter, graceful chair that was even more ornate. Following with the reign of Louis XV, the 17th century French salons would hold “Louis” chairs of Rococo style in which you could imagine French intellectuals gathering to ponder art, literature and politics. Alas, the “Salon Chair”. Iconic chairs, indeed. 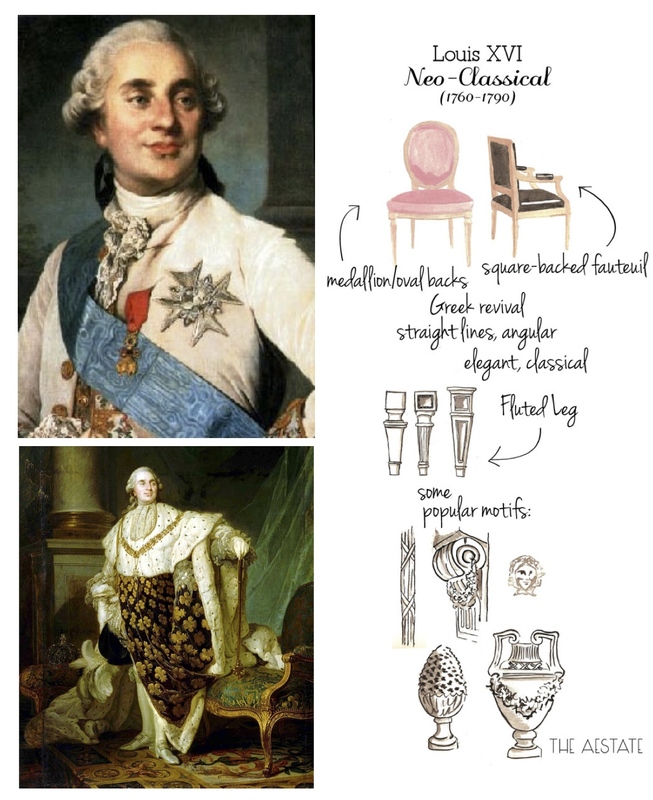 During the reign of Louis XVI the revival of the classical forms brought forth a “Louis” chair of Neoclassical style. Of interest, by the 1800’s, a typical French salon suite would hold a sofa, a chaise lounge and an armchair for both the ladies and the gentleman. 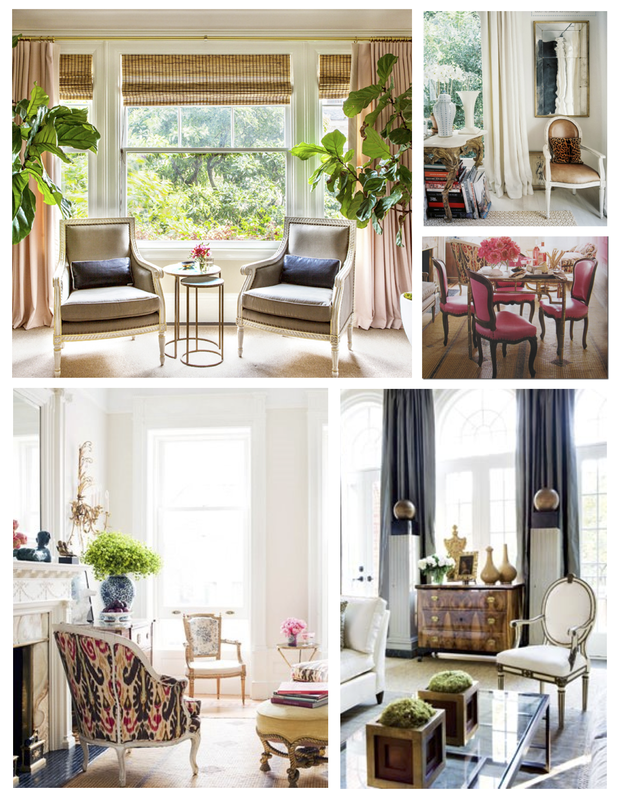 Refined settings of the Victorian era for conversations in a room of grand style! 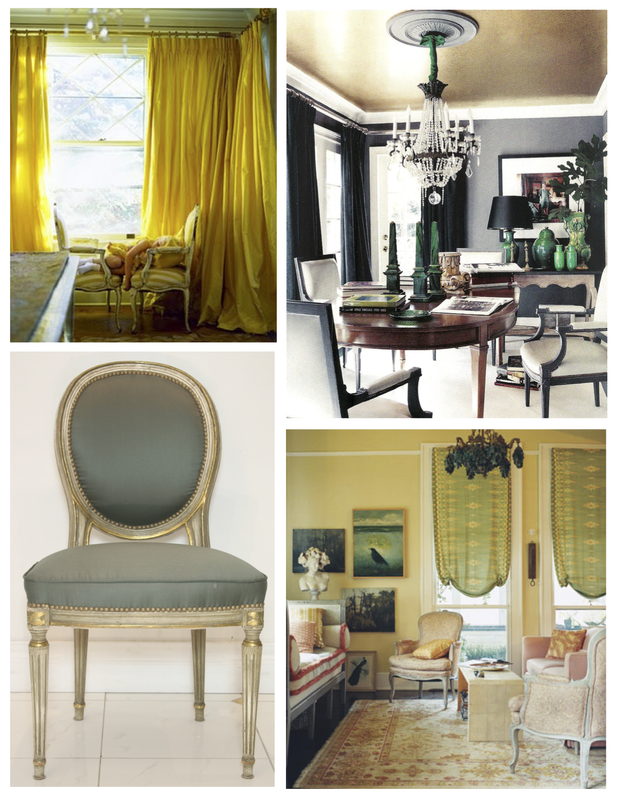 Alas, the regal permanence of the “Louis” chair within the interior has endured! 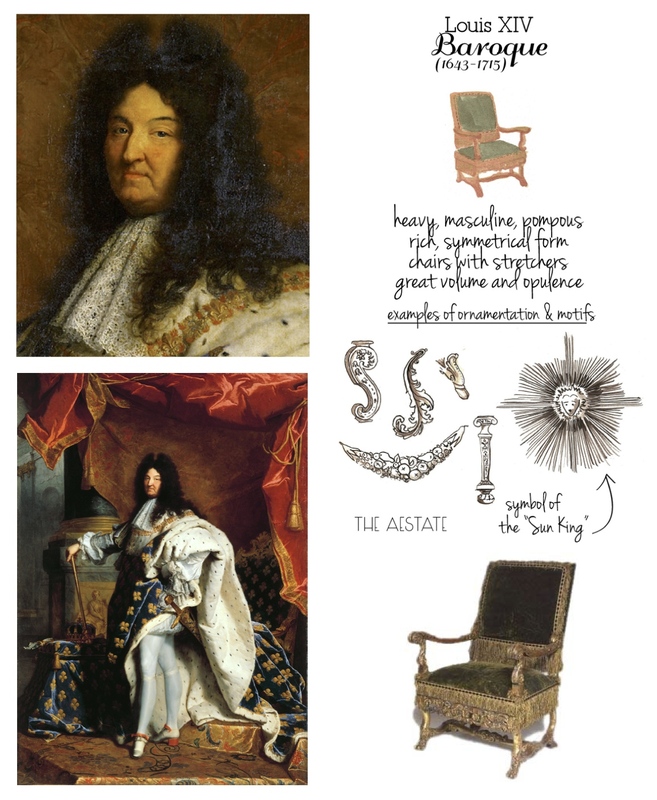 Although my focus on this chair merely touches upon its French history and classic form, a visual appreciation of the Kings that the “Louis Chair” evolved under is important in the appreciation of this art form of function and style. 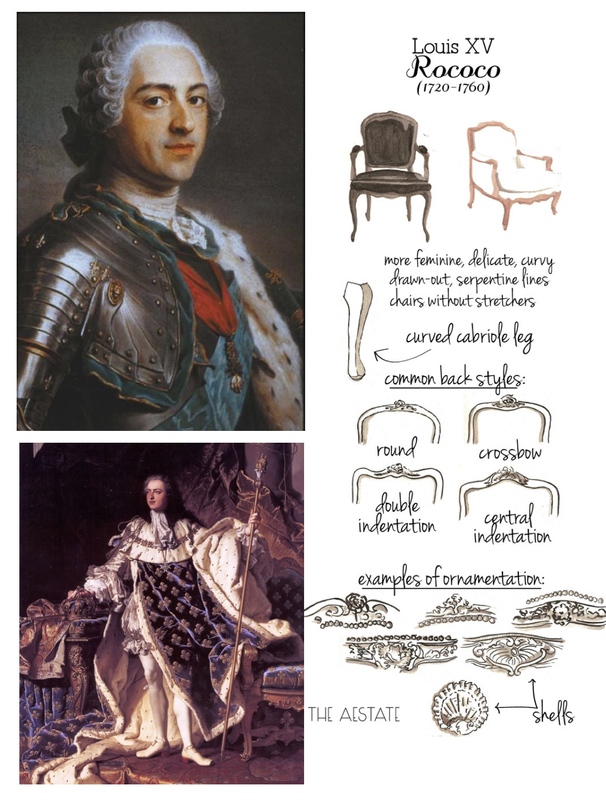 Gathering a royal visual paired with an artistic compilation from sources on the internet, a visual appreciation of a King’s reign and stylistic period influences that resulted…. 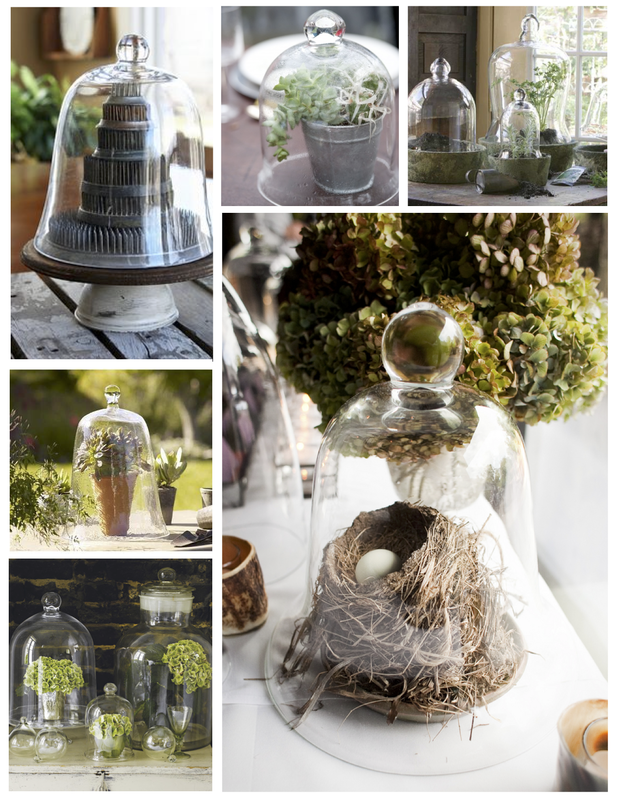 The Cloche. A versatile and sculptural object of function. 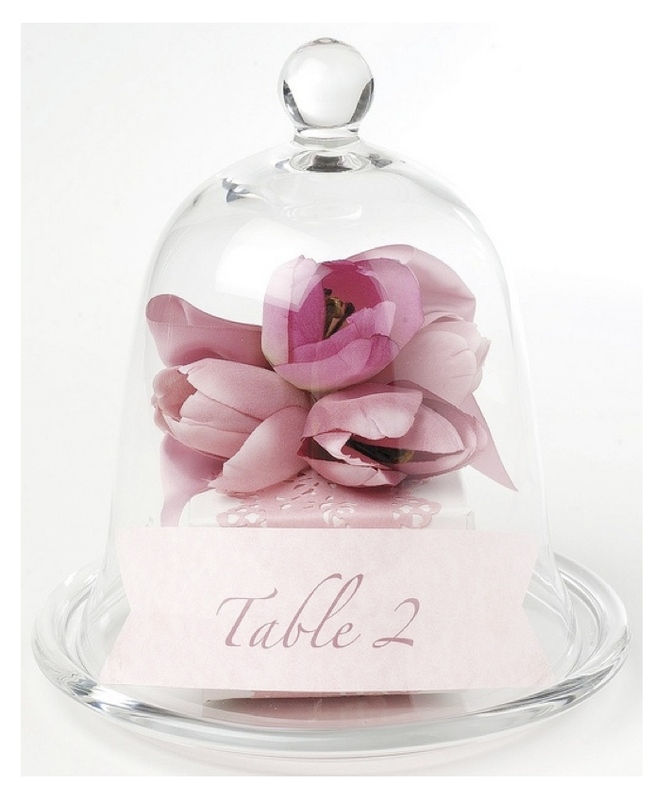 Formed from a solid piece of glass in the shape of a dome, the term “Cloche” literally means “Bell” in French yet earlier origins of the “Cloche” are linked to the Medieval Latin word “Clocca”. 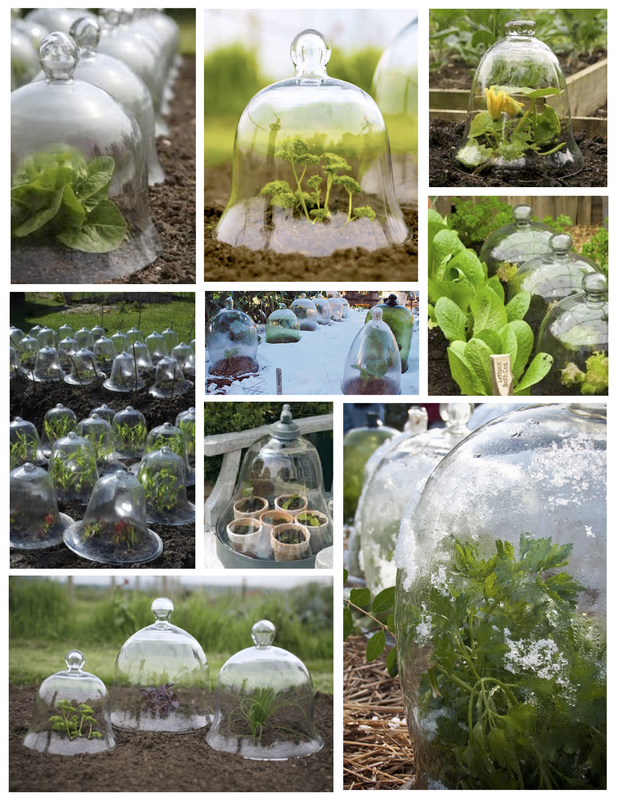 The first known use of the term “Cloche” was in 1882 although the object itself was first used in Italy in the early 1600’s. Quite the longevity of purpose and function. 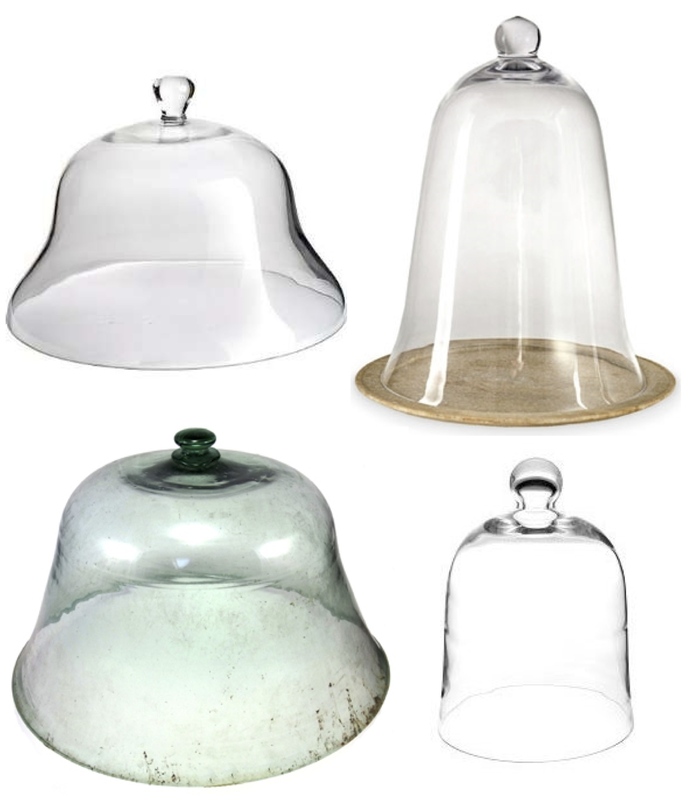 Variations of the cloche are many, yet the traditional cloche flares at the bottom to resemble a bell. 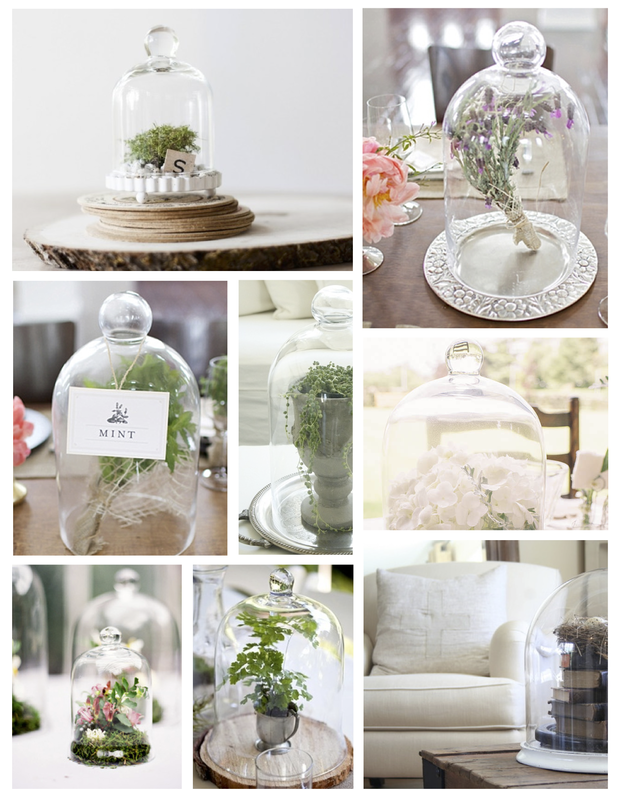 Thus, cloches are commonly referred to as “Bell Jars” and “Domes”. Sculptural interest with purpose. 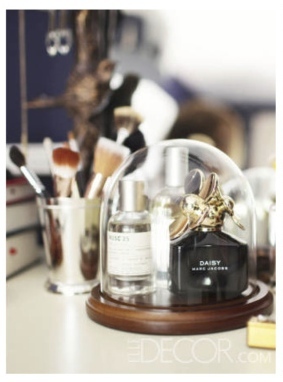 And of my favored element of decoration to be under the dome of glass? The word “Bolster” is from the Middle English and from Old English’s “Belg Bag” from the 12th century. The history of these pillows that accessorize a room with their unique cylindrical shapes? “Bolster Pillows” are stated to have originated in the South and Southeast Asian countries (in particular Vietnam, Philippines, Indonesia, Malyasia, Signapore, Bangladesh and Thailand). Designed to be “Hugged” when sleeping, this pillow of cylindrical form holds various references including the “Hugging Pillow” which was also designed to be used for back support. In addition, these “Bolsters” were also used by the Chinese ( called a “Dakimakura” ) as end cushions for sleeping platforms. Of additional interest, in Japan it is referred to as “Jukbuin”. The tradition that follows is that the “Bolster Pillow”, hollow and formed out of bamboo, would be given by a wife to her husband when he traveled far from home to comfort him and keep him refreshingly cool during sleep due to air circulation within the bamboo form. “Juk” stands for “bamboo” and “Puin” stands for “wife”. Hence, the name “Bamboo wife” would result. Who knew? But alas, it is not a “Bolster Pillow” made of bamboo that I refer to. 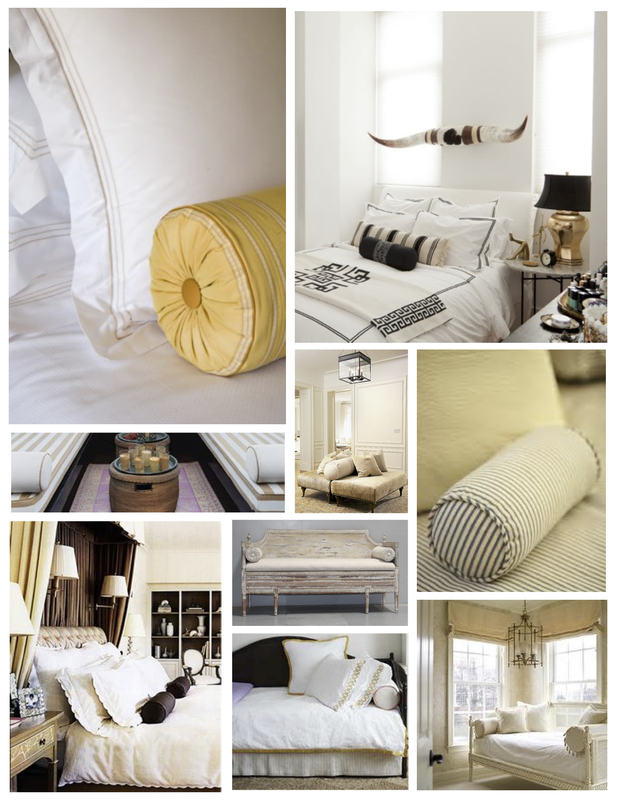 The form and the addition of luxurious fabrics that layered solid forms of cotton or down feathers is the “Bolster Pillow” that dwells within our interior spaces that gains my attention. The “Great Pumpkin”. The gift from a trailing vine. Having been enamored with pumpkins since youth, perhaps a visual appreciation of the grand cultivar of squash is at hand. 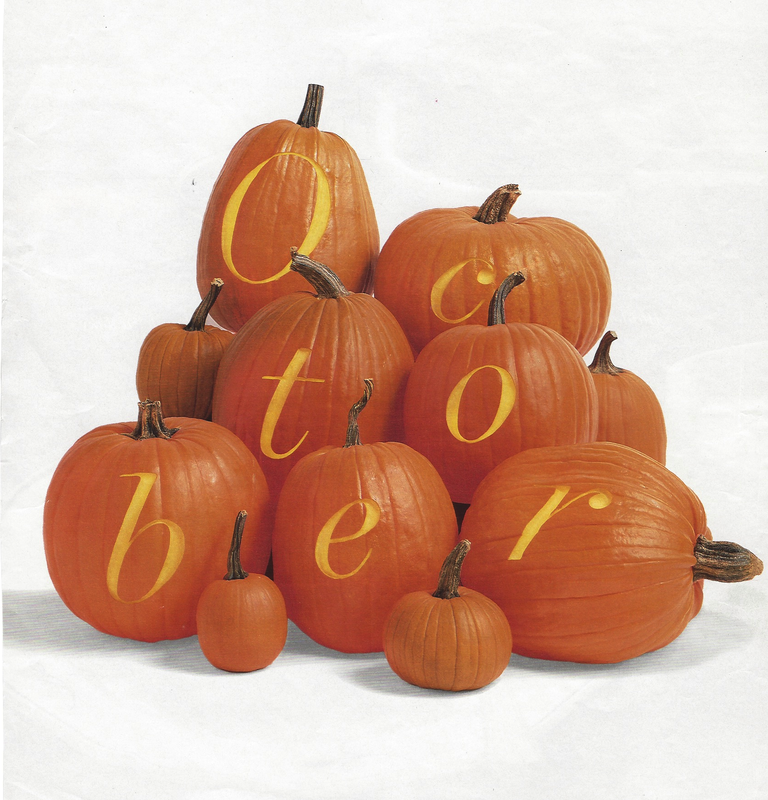 Fall’s arrival pairs with the iconic visual emblem of the “Pumpkin”. The round, smooth and slightly ribbed skin of the pumpkin continues to endure as a coveted emblem of Fall. Of course, one must have at least one or more of these Autumnal gifts of nature upon Fall’s arrival. Bursts of rich Fall colors that emulates the changing trees within the great outdoors, bringing indoors these elements of Autumn seems to denote a passing of seasons within our spaces. Consider not just the great orange, classic pumpkin, but also the additional display that brings the mere “orange” pumpkin to a new level: heirloom selections from the world of pumpkins. Inspired upon a recent visit to the “Pumpkin Patch”, camera in hand, the great pumpkin was in focus. 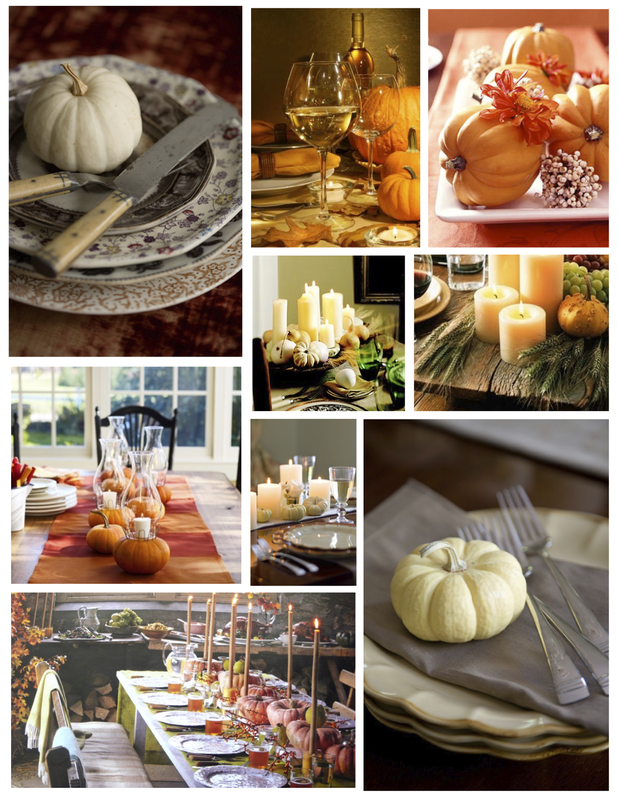 Consider the grayish green Jarrahdale, the creamy, light orange “Long Island Cheese” (a more flattened and often ribbed shape- perfect for stacking), the striking “White” pumpkin and of course, the “Cinderella” pumpkin (resembling a flattened cushion of natural style). So many stunning variations abound for our personal preference and statement to embellish our exterior and interior spaces. 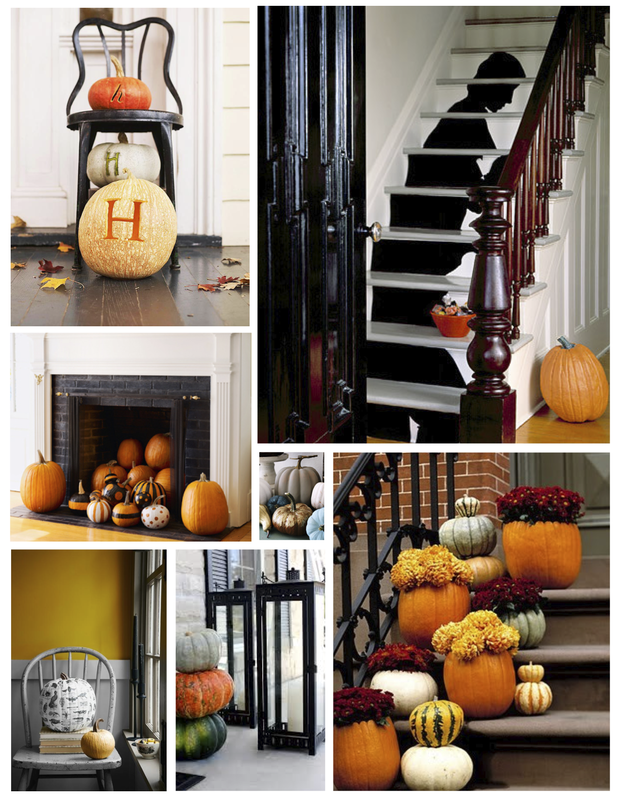 And why not decorate with the vast variations of sizes, shapes, colors and distinctive appeal of “Pumpkins”? Whether stacked in towering delight or standing alone, the pumpkin certainly is a visual delight. 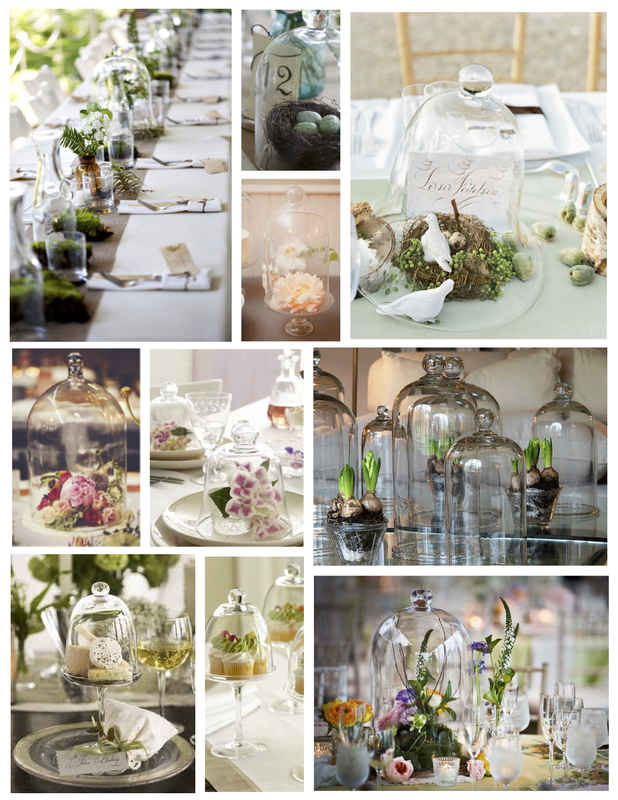 Delightful inspirations, for certain. 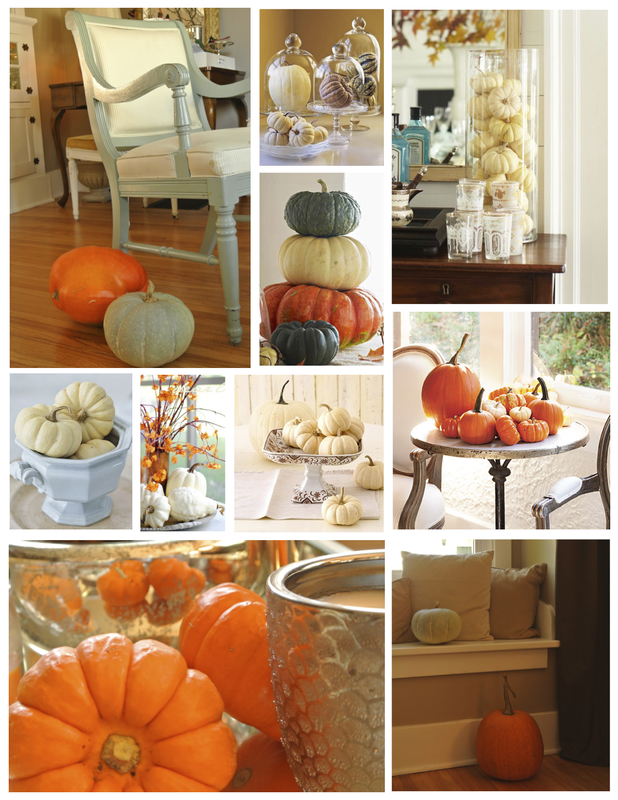 The term “Pumpkin” refers to a certain genus cultivar of squash known as “Cucurbita”. 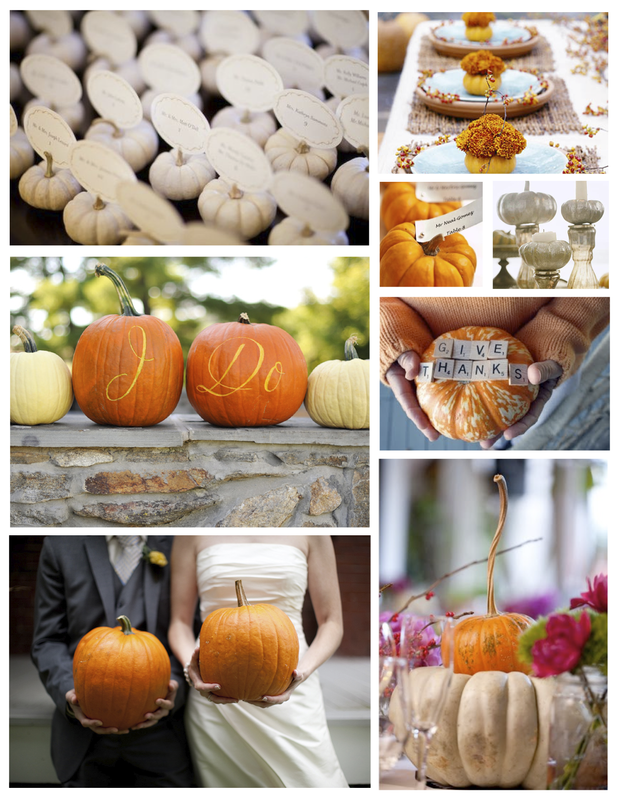 The word “Pumpkin” comes from the British word “Pumpion” which was derived from the French word “Pompon”. 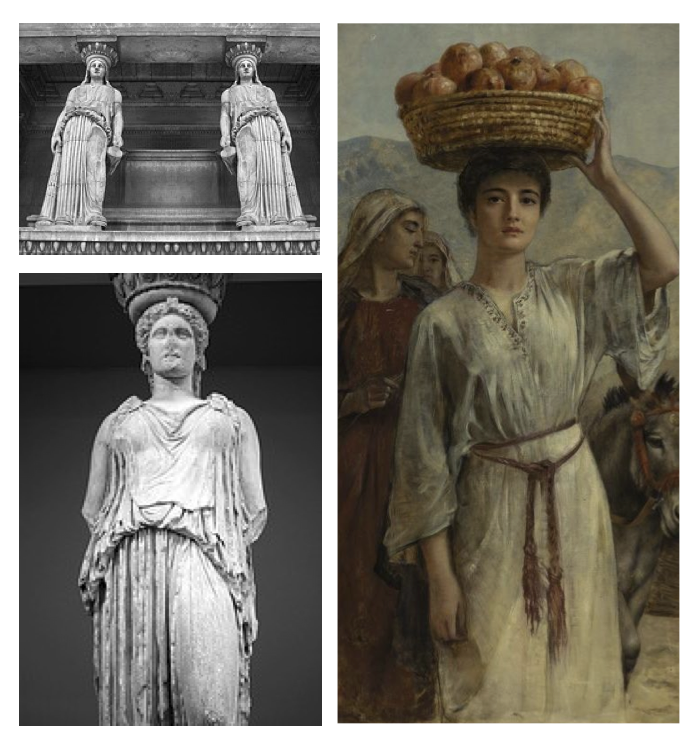 Of interest, “Pompon” was taken from the ancient Greek word “Pepon” for melon. Interesting. 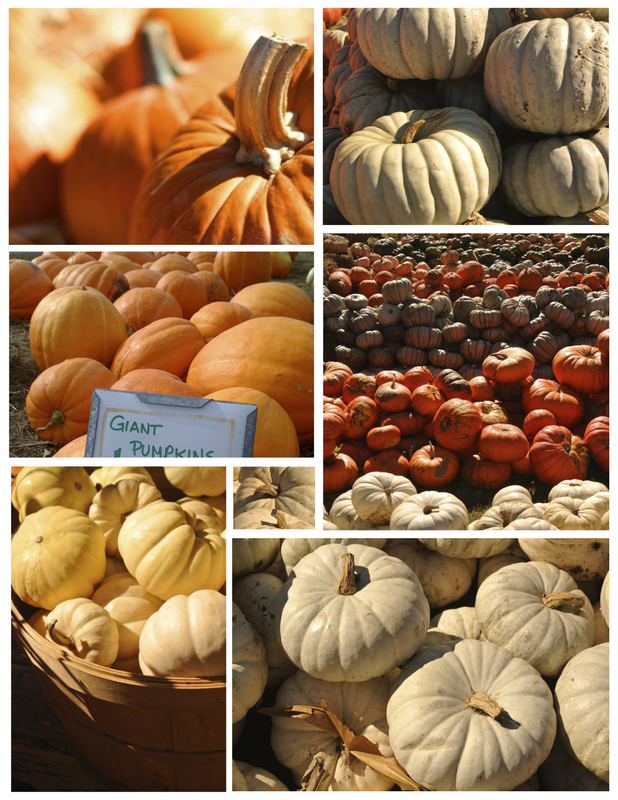 Pumpkins, like other squash, are believed to have originated in North America. However, the oldest evidence of pumpkin-related seeds were found in Mexico, dating between 7000 and 5500 BC. An enduring botanical cultivar, indeed! For further insights in the appreciation of the pumpkin and its history, it is said that the Native American Indians in the New World used pumpkin as a staple in their diets for centuries before the arrival of the Pilgrim settlers by boat. The settlers would embrace the sweet, multi-purpose fruit and eventually return to Europe with the seeds of this vine growing gourd. Expanded appreciation would certainly result. Of note, it is believed that the first pumpkins were of the ‘crooked neck’ variety rather than the ribbed or creased, classic and iconic orange pumpkin. Who knew? Of interest, in New Zealand and Australian English, the term “Pumpkin” generally refers to the broader category of thick skinned “Winter Squash”. Either way, this cultivar that is considered a fruit that is layered in a thick shell has found its way into commercial use, both in food and recreation. Grown all over the world on six of the seven continents (the exception being Antarctica) it is no surprise that the pumpkin in all its glory has remained a glorious icon of the season. The appreciation of the Autumnal gift of nature, indeed…. British pottery of bold distinction. Jasperware. Also known as “Wedgwood Jasper”, Wedgwood’s Black Jasperware was developed by Josiah Wedgwood (1730-1795) during the 1770’s. Known as the “Father of English Potters”, the pottery innovations of royal acclaim by Josiah Wedgwood still hold to past success in the present. 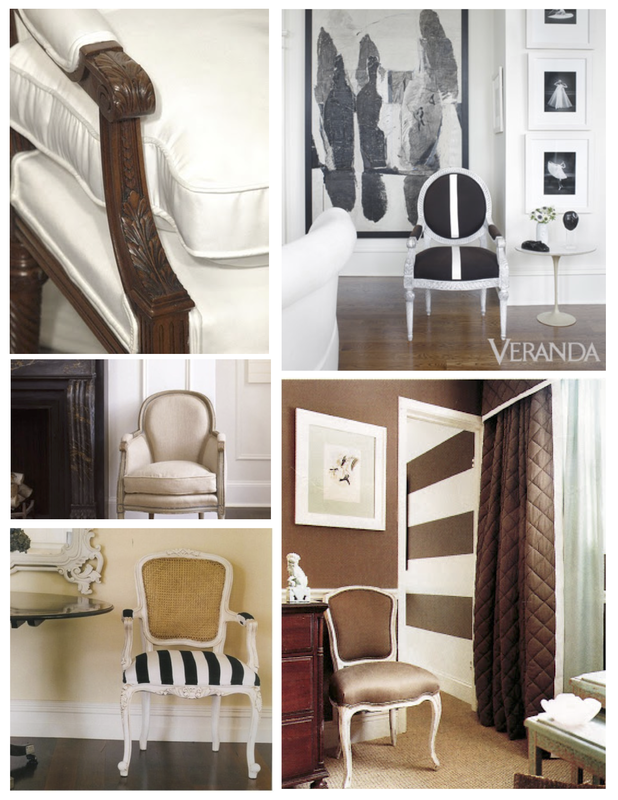 Timeless pieces that endure in classical style and history. Described as an unglazed stoneware, it is also referred to as a type of porcelain. Noted for its matte finish, Jasperware is produced in a number of different colors. Originally, Jasperware was stained either blue, green, yellow, lilac or black. Who knew? Although the best known color is the pale blue known as “Wedgwood Blue”, it is the bold and unexpected impact of the black Jasperware that lures me. Named after the mineral “Jasper” (a colored, opaque quartz), the Wedgwood motifs that would embellish the vessels and decorative objects are detailed applications of “Bas Relief” design. These distinctive designs were influenced by the ancient cultures that experienced a renaissance “through study and discovery during the expansion of the British Empire”. The motifs are said to have been taken directly from ancient Roman, Greek and Egyptian mythologies. The British demand for replicas of ancient artifacts and representations of royalty, nobles and statesmen were met in silhouettes distinctively embellished in white, circling objects of Neoclassical shape of significance. 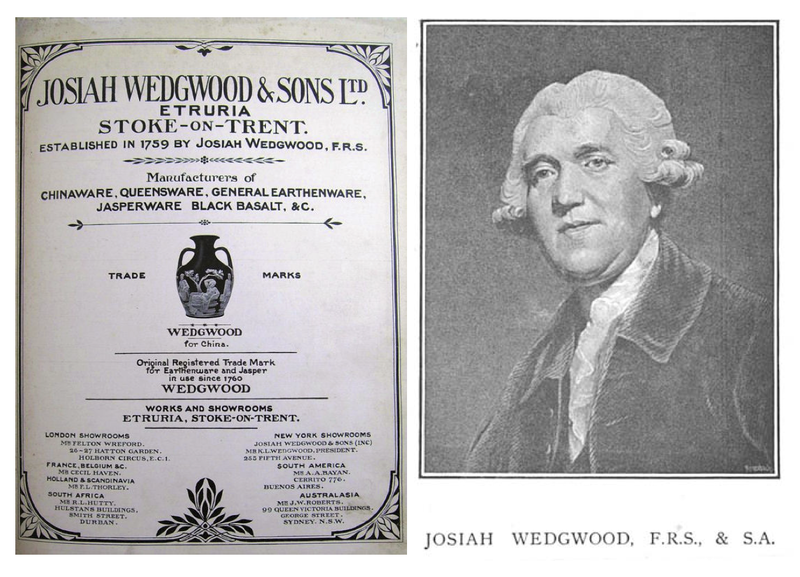 Of interest, Josiah Wedgwood was the 12th child of potter Thomas Wedgwood. A family history of potters linked back to Josiah’s Great Grandfather. A family trade of craftsmanship and artistry, for certain. Said to be an innovator, it was Josiah that developed “Queen’s Ware” (a cream colored, lead-glazed earthenware). Presenting a tea service with this new material of flint and white clay to Queen Charlotte (King George III), the delighted Queen permitted the name “Queen’s Ware” to be used in reference to this new pottery. Josiah would thus pronounce himself as “Potter to the Queen” following this success that spread the name of “Wedgwood” throughout Europe. British expansion, indeed. Of note, in 1768, Wedgwood had introduced a different type of fine grained stoneware called “Black Basalt”. (Alas, I adore the depth of this solid pottery as well). Produced from copies of Etruscan pottery that had been excavated in Italy, this lustrous and smooth stoneware with a purple and black sheen produced an intense demand within the world of decoration for the interior. Developed from a reddish brown clay that burned black during firing, the bold and matte statement of black basalt stoneware endures as a statement of decorative style. Yet it is Jasperware that has been given the credit as the most important invention in the history of ceramics since the birth of porcelain. It is said that it took Wedgwood years of experimentation to perfect his design for the unglazed stoneware of durable and delicate form. Experimental success in the creation of timeless pieces of iconic style. Beyond the objects in stoneware, the motifs of Jasperware were also set into jewelry as well as embellishing architectural features, such as fireplace mantles, mouldings and furnishings. 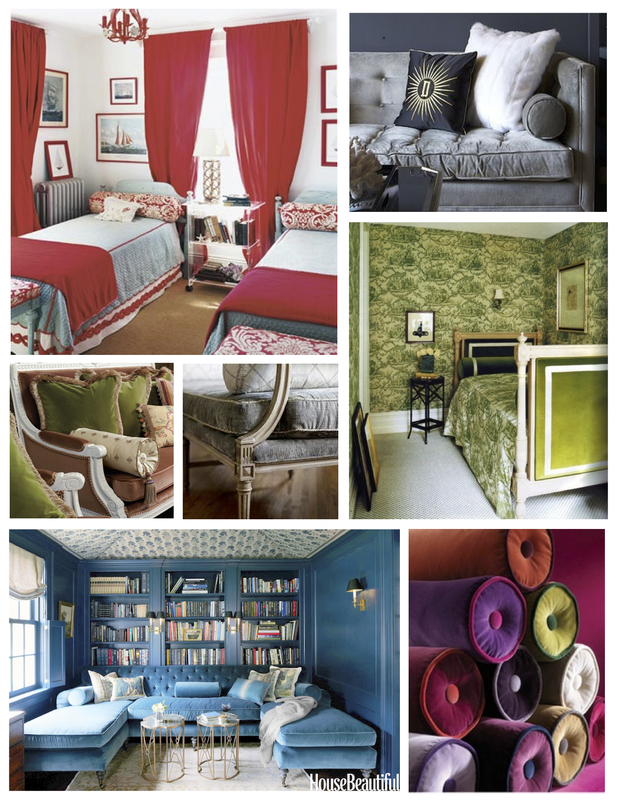 Widespread style of stylistic display of historical and classical distinction, for certain. Enduring style that celebrates ancient history and classical shapes that endure. In fact, Jasperware itself has seemed to have become synonymous with Wedgwood. Success of distinction, indeed. 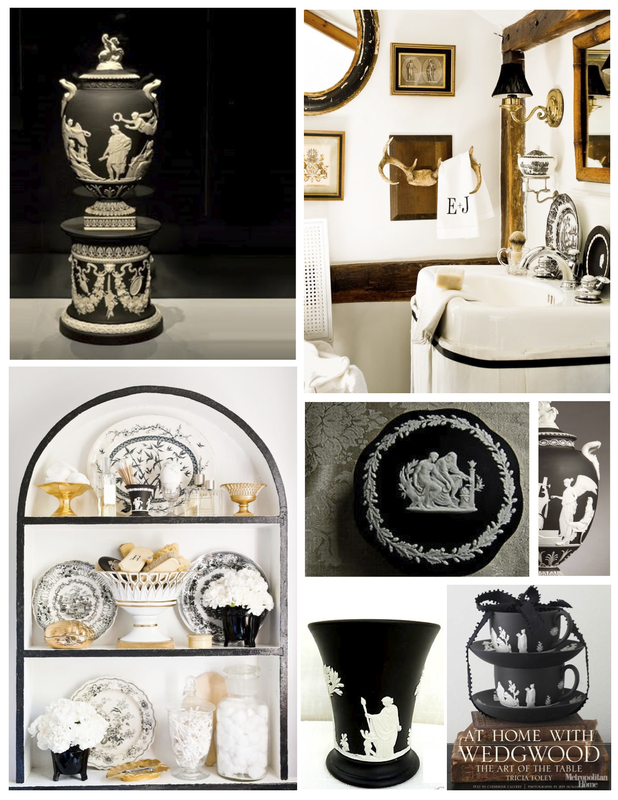 Of course, I must give credit to most of the striking interior images presented with the contrast of black and white Jasperware. 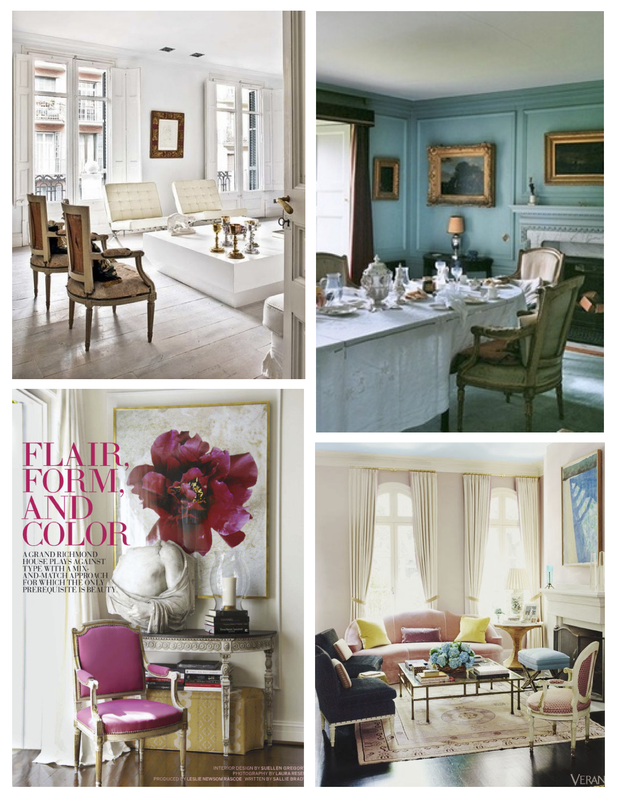 I must mention the interior design skills and incredible sense of style of iconic lifestyle expert Eddie Ross. 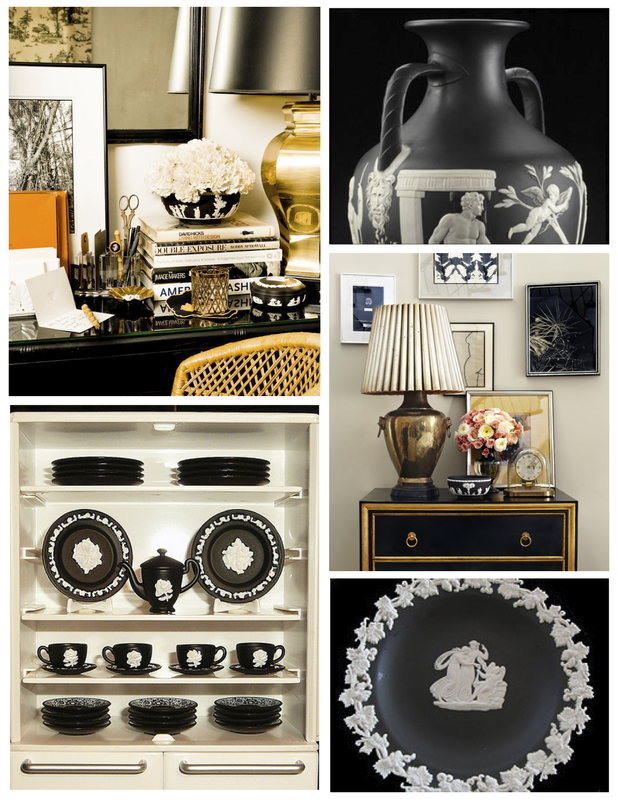 Photographs from interior designer Celerie Kemble’s striking book “Black And White” have included the images presented here of black Jasperware within the interior and previous residence of Eddie Ross and Jaithan Kochar . I have had the pleasure of meeting the delightful Eddie and Jaithan in November of 2011. In fact, I have rightly given acknowledgement to both in a past post A Duo of Inspiration. 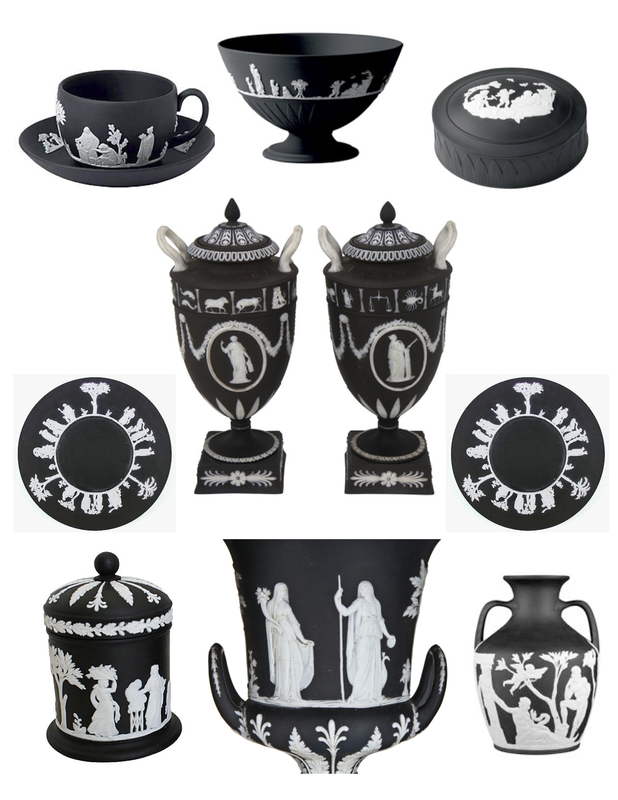 Considering Eddie’s mastery of quality, design and style, it is no wonder that the images that I would find to best relay the distinction of Wedgwood’s black Jasperware within the interior would be from Eddie’s stylish perspective and flair. Style follows great taste. The art of the basket. 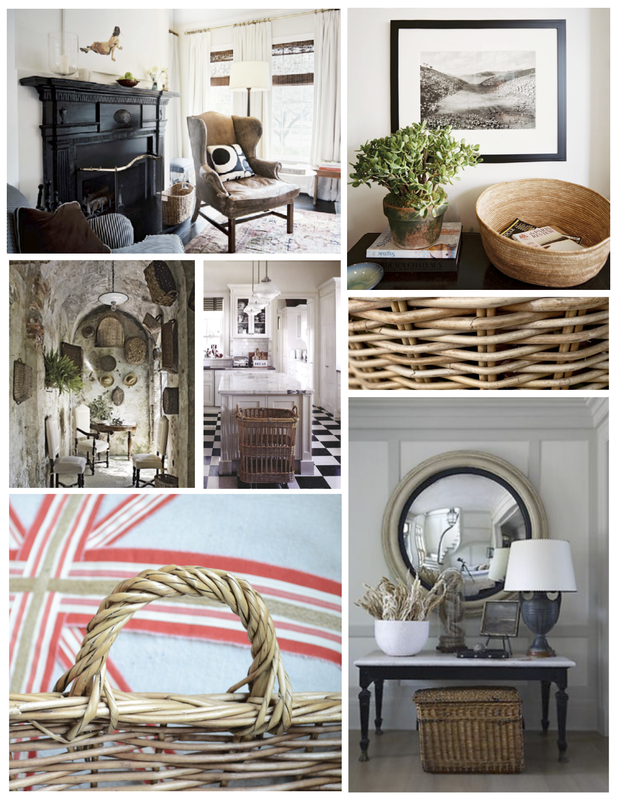 Woven by hand, the stylish basket has certainly evolved into an art form. 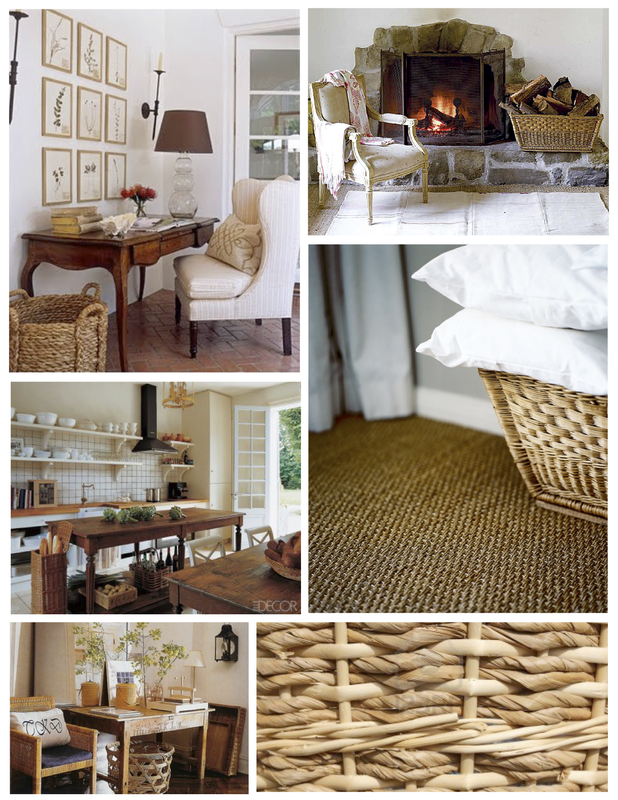 Constructed from a wide range of plant materials, including wood splints and cane, the twisting and braiding of stylistic function can certainly be appreciated, if not incorporated, into our interiors. 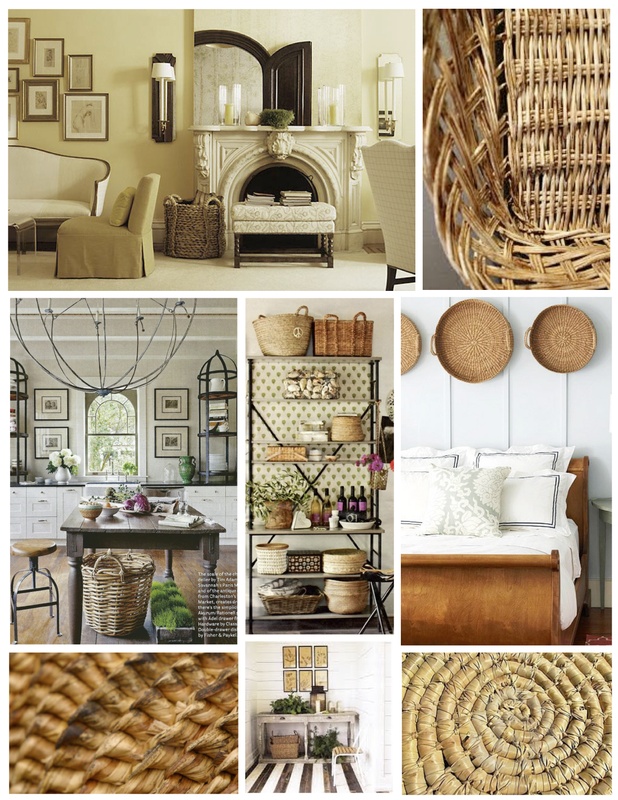 For certain, the artistic freedom of basket making allows for a wide choice of colors, materials, sizes, patterns and details. 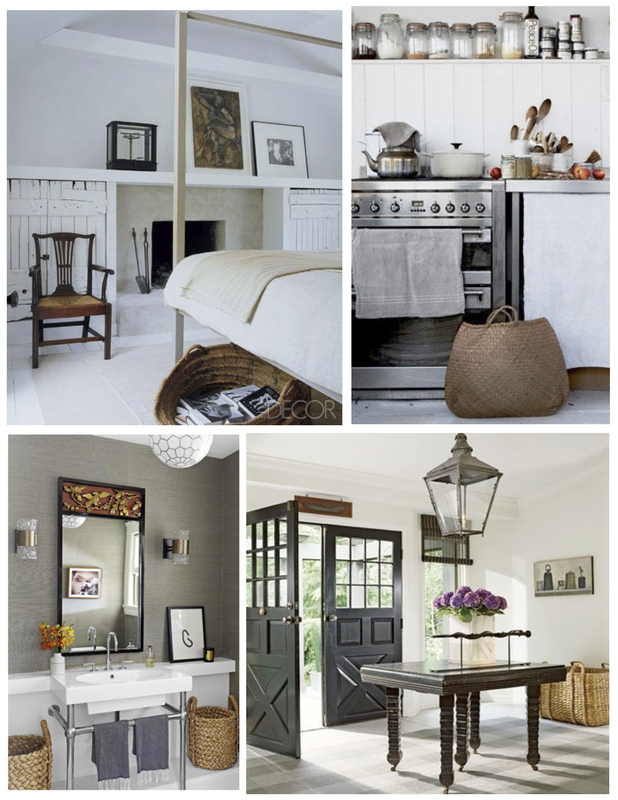 Form and function paired with stylistic options.